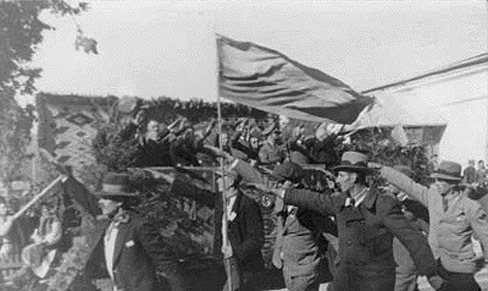 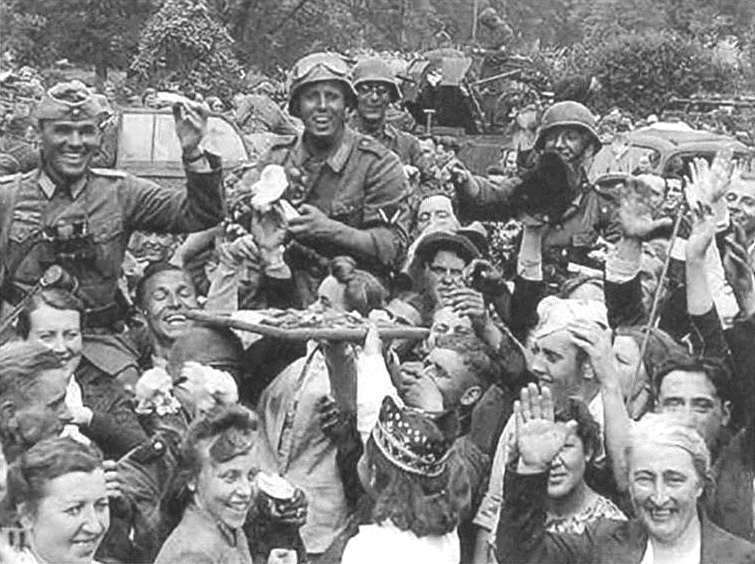 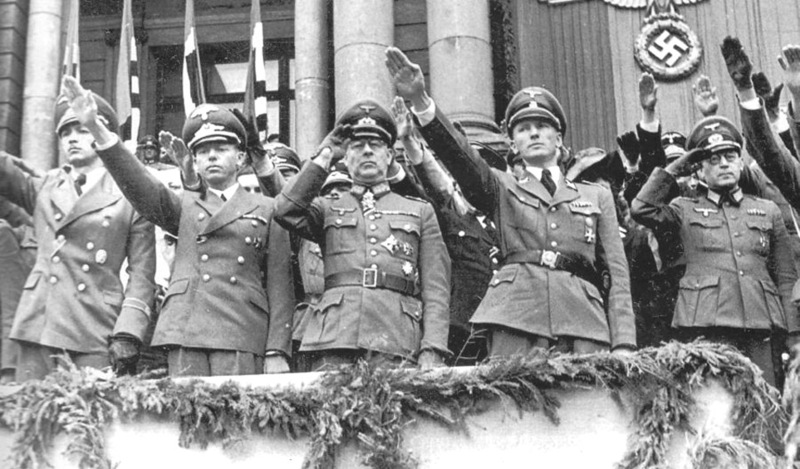 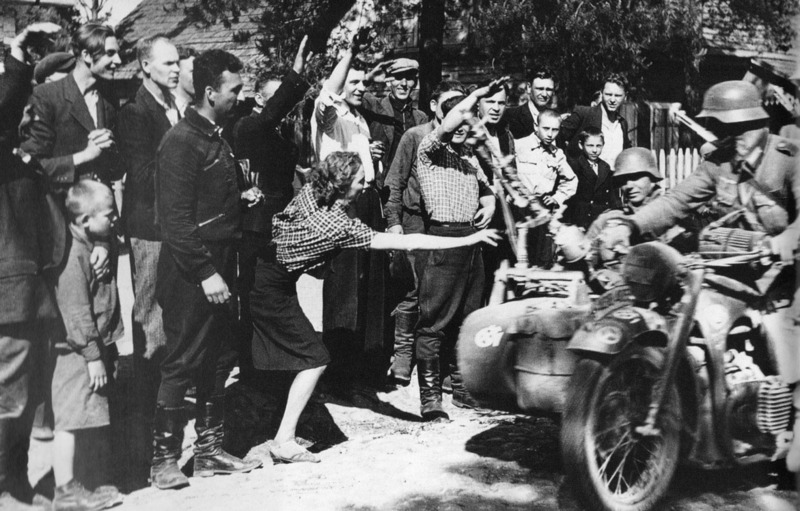 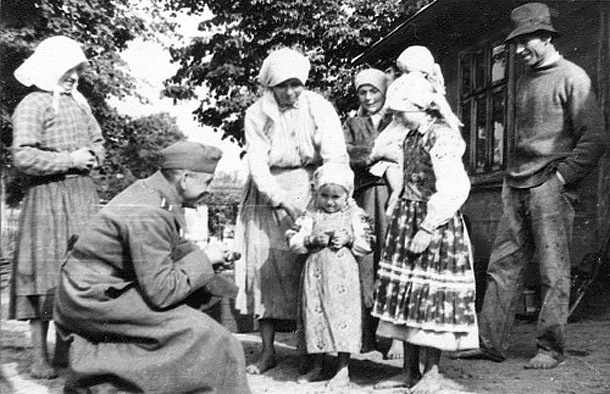 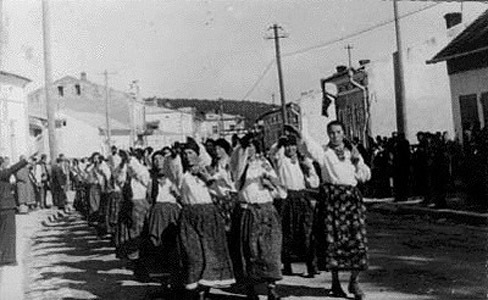 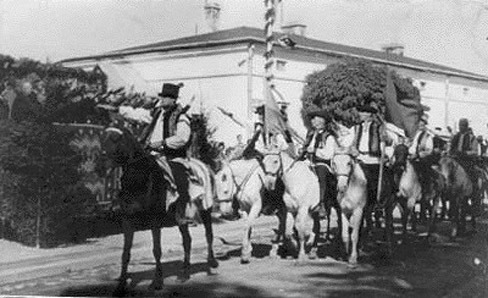 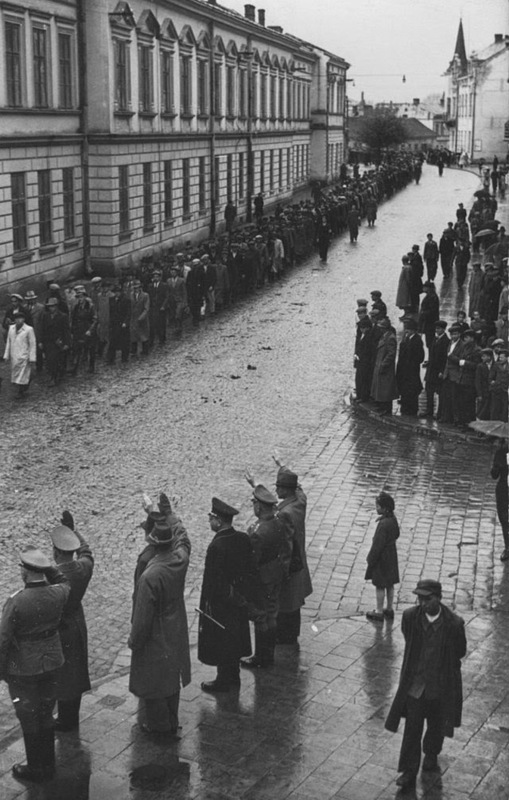 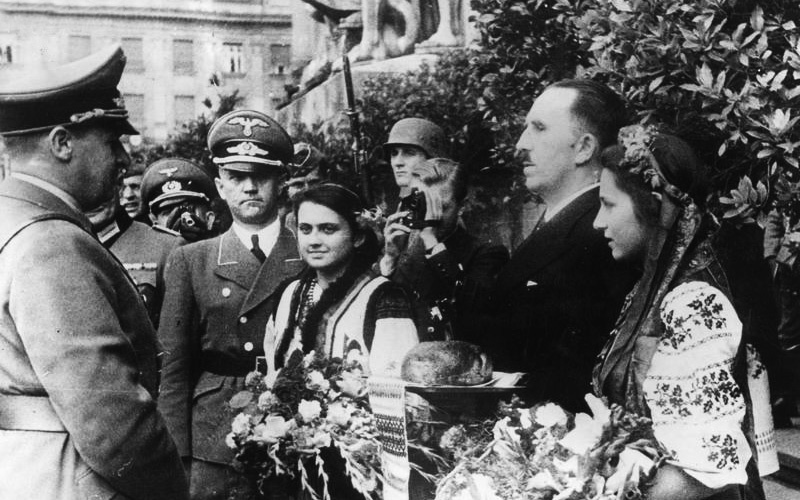 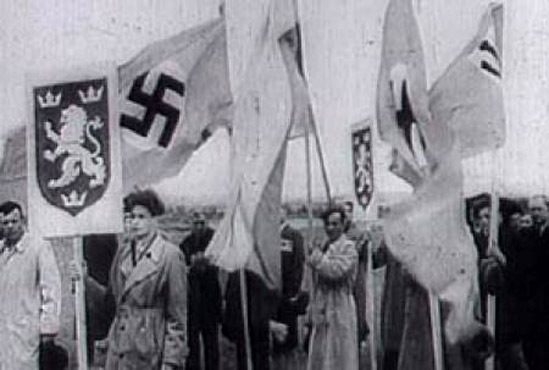 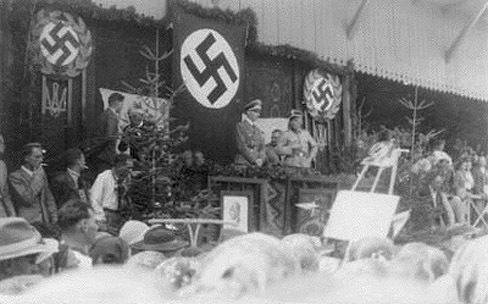 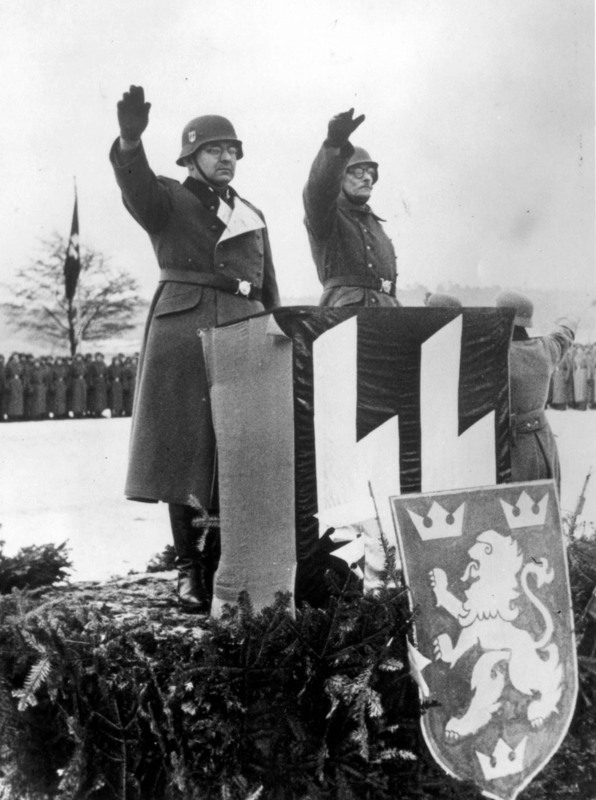 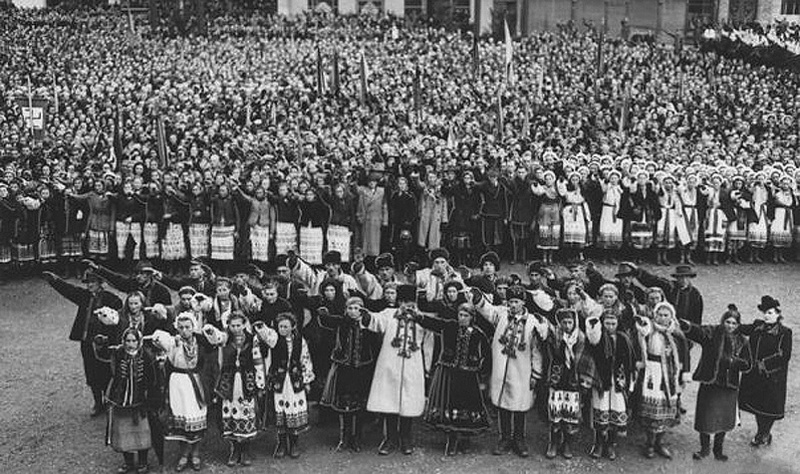 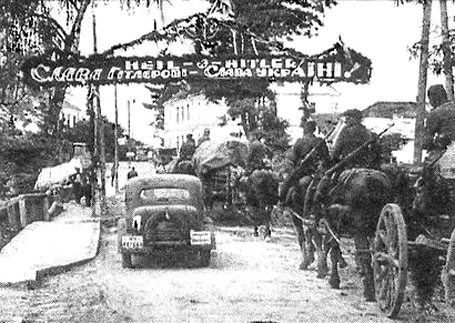 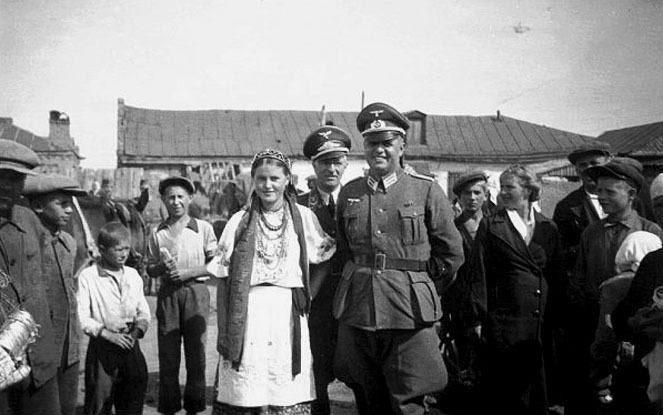 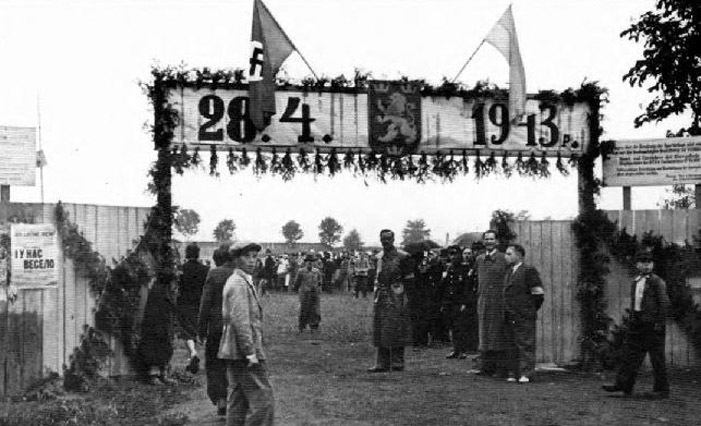 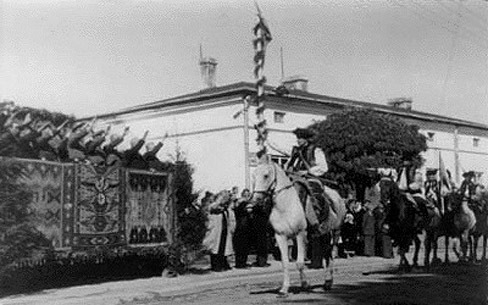 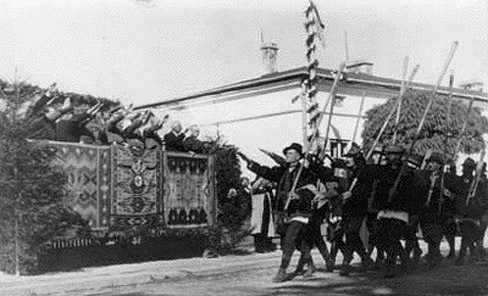 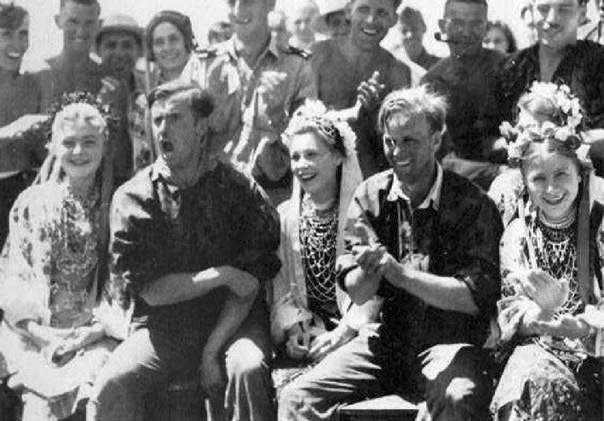 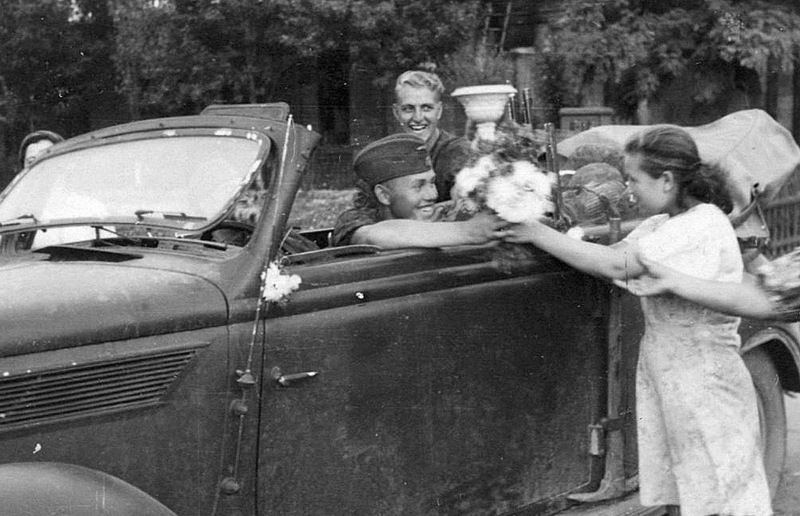 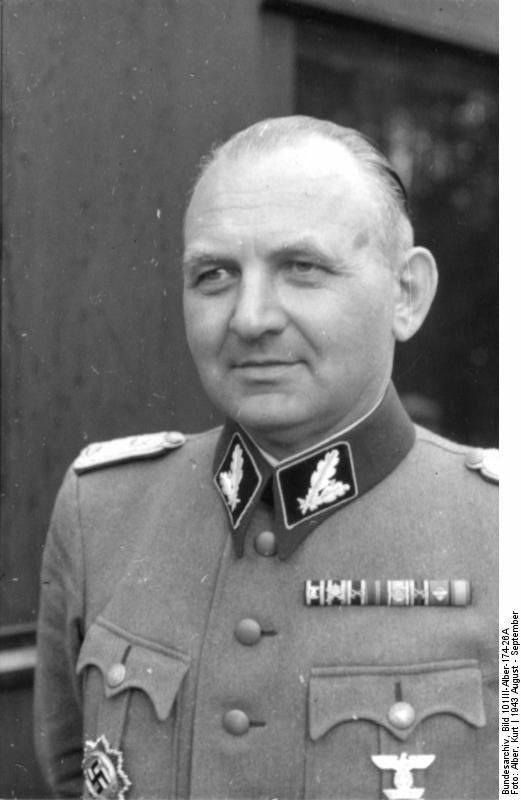 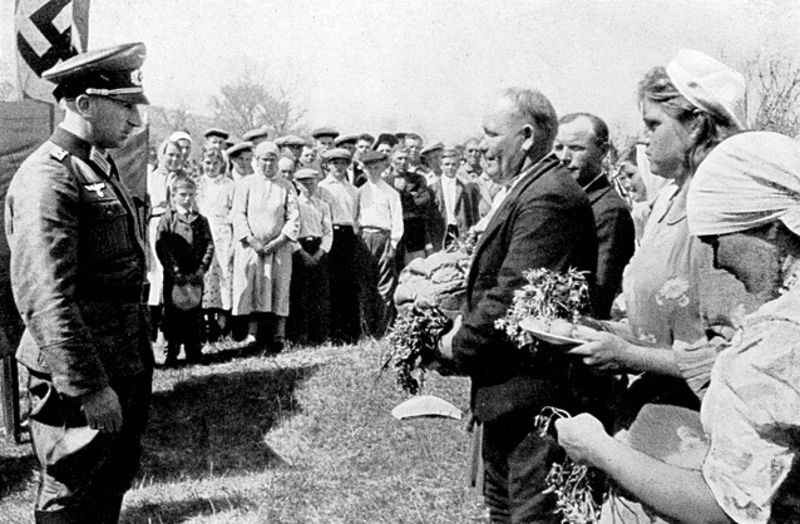 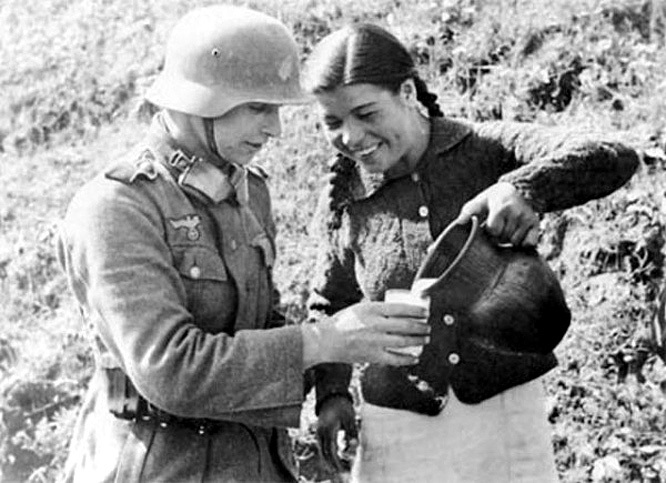 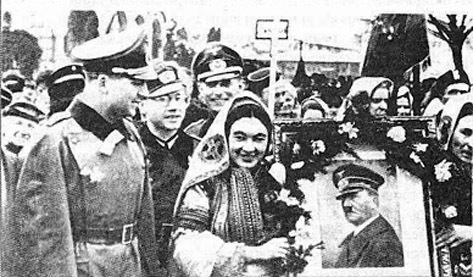 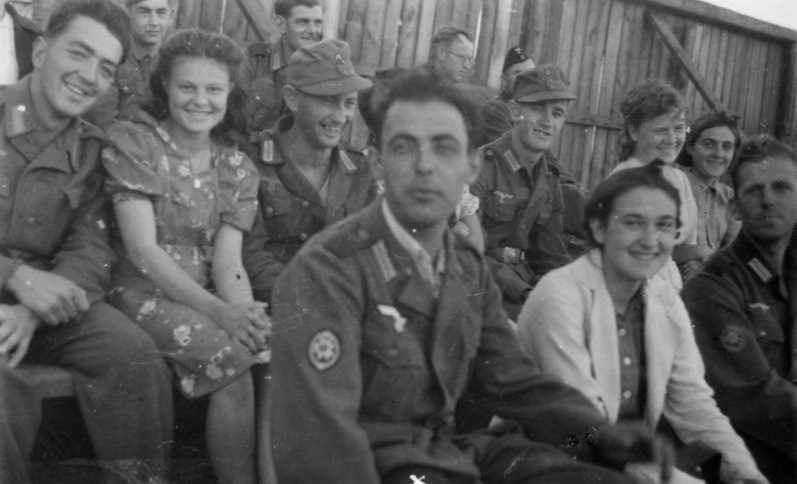 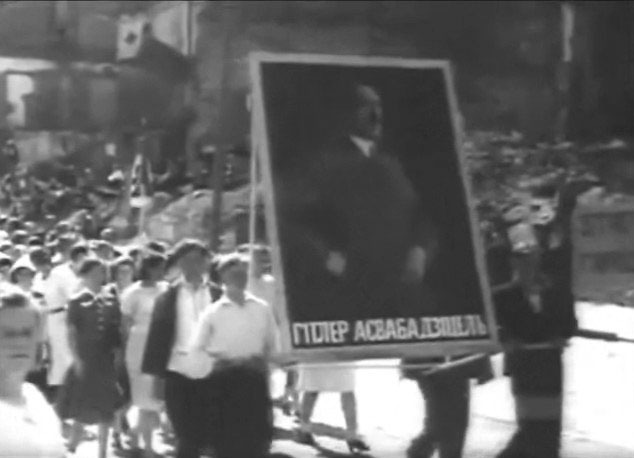 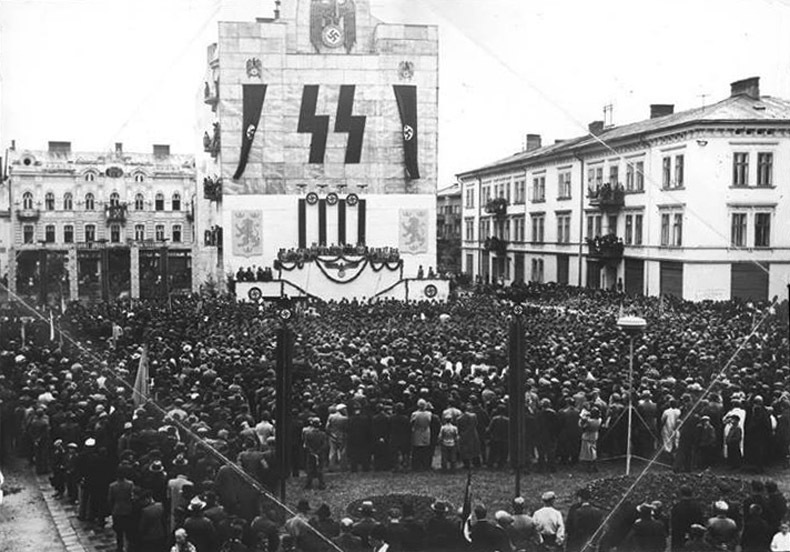 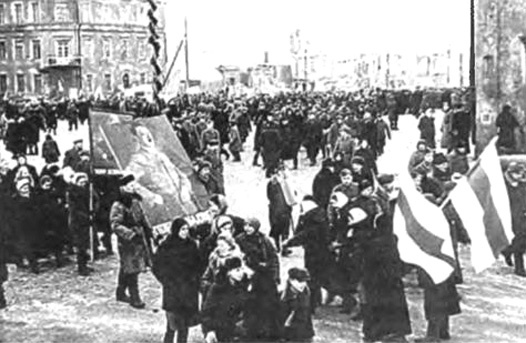 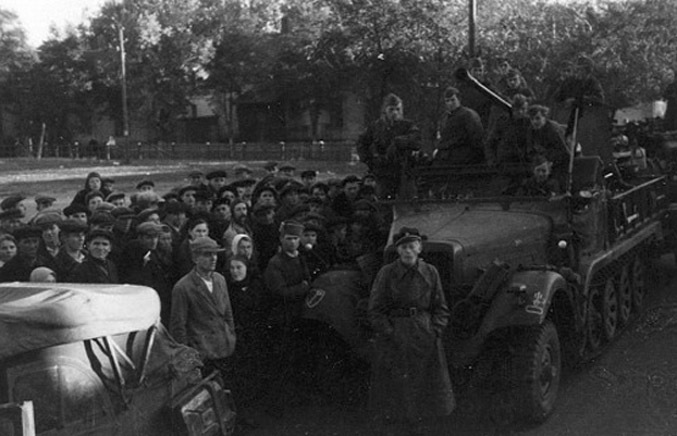 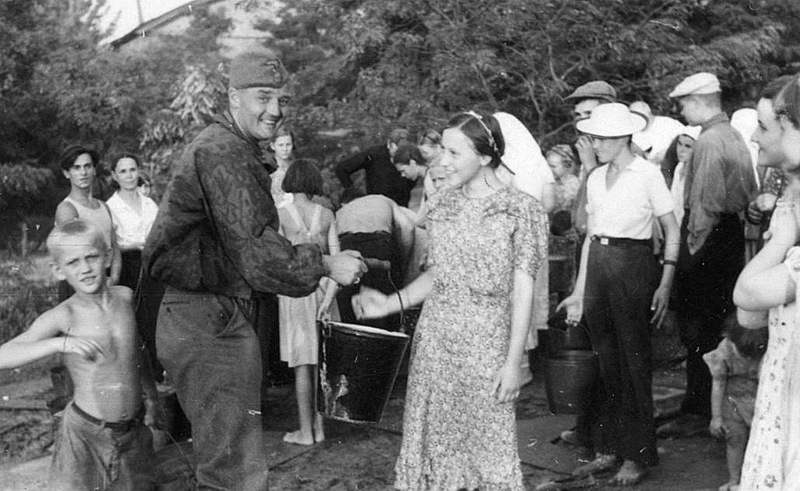 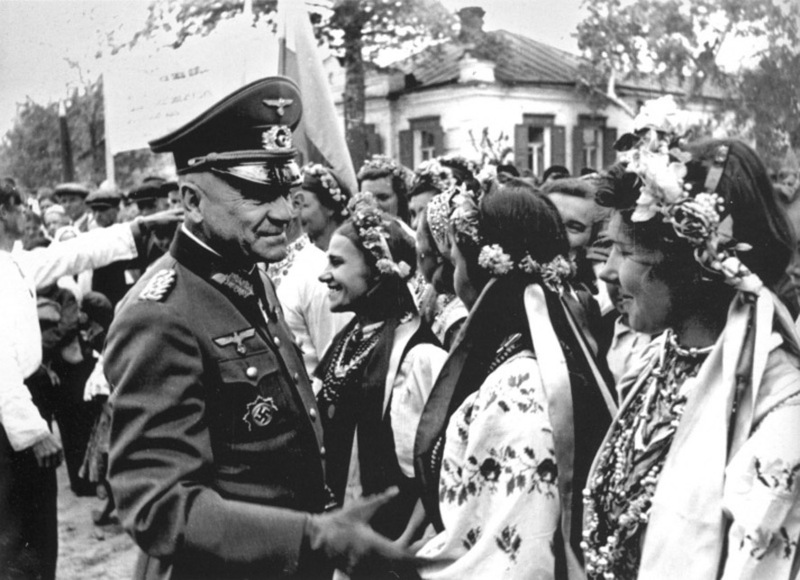 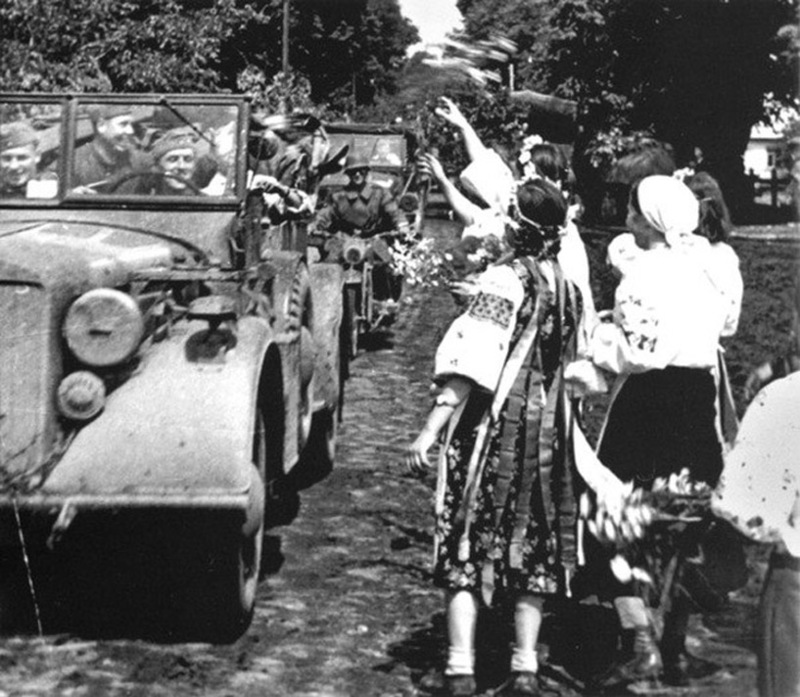 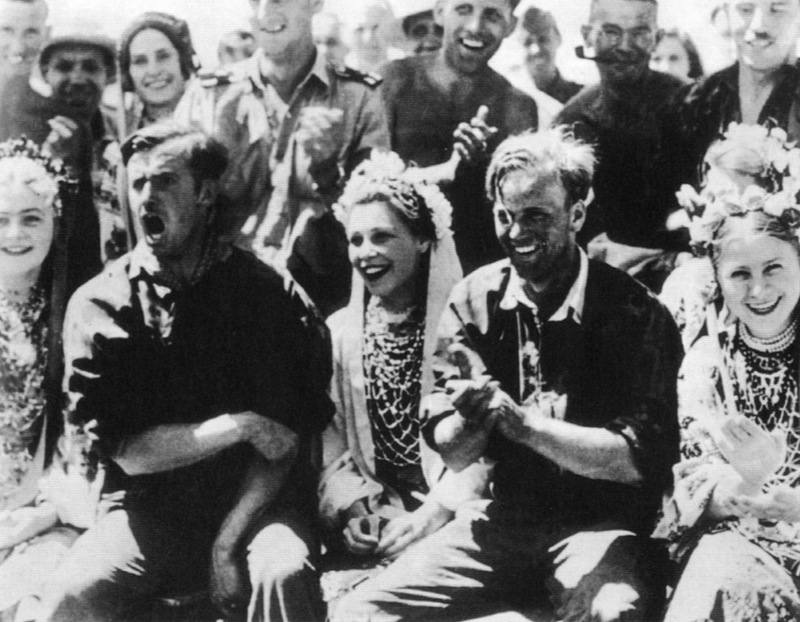 The following photos are from a parade in honor of the creation of the 14 SS Division Galicia. 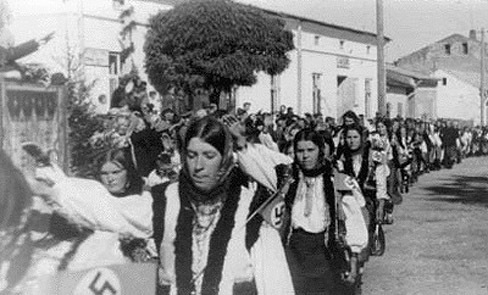 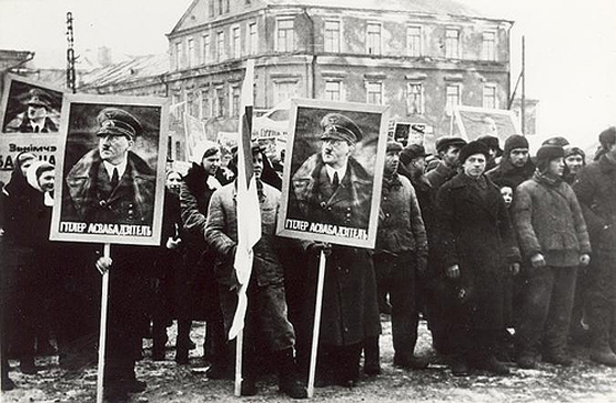 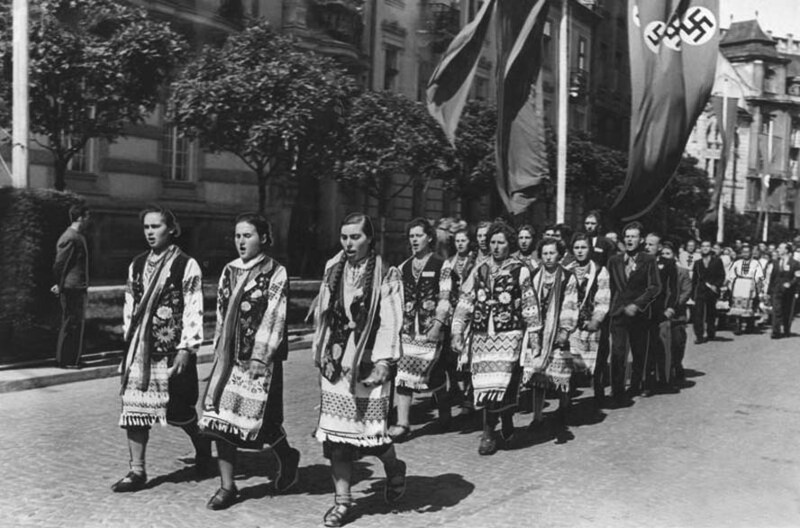 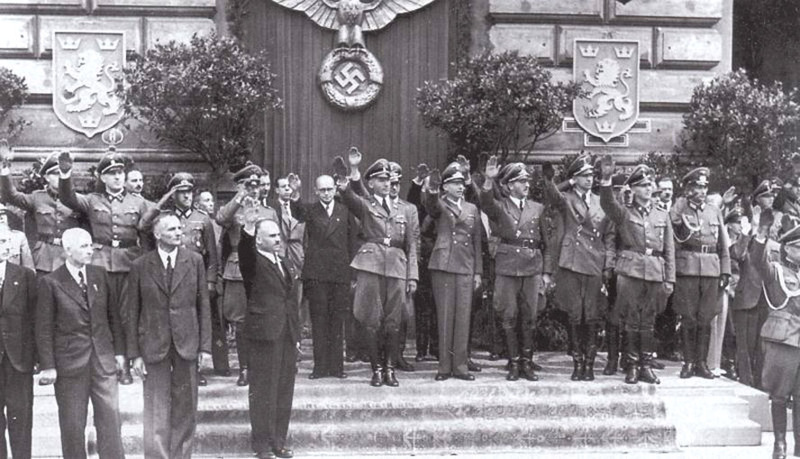 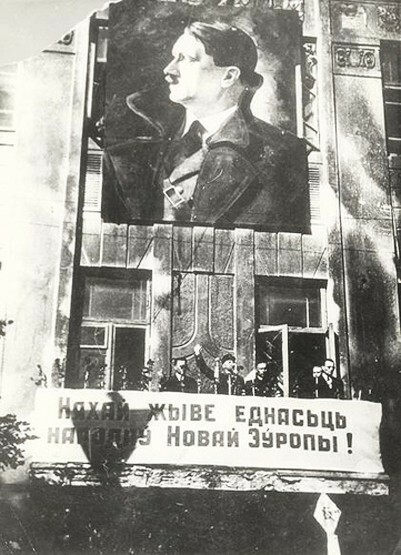 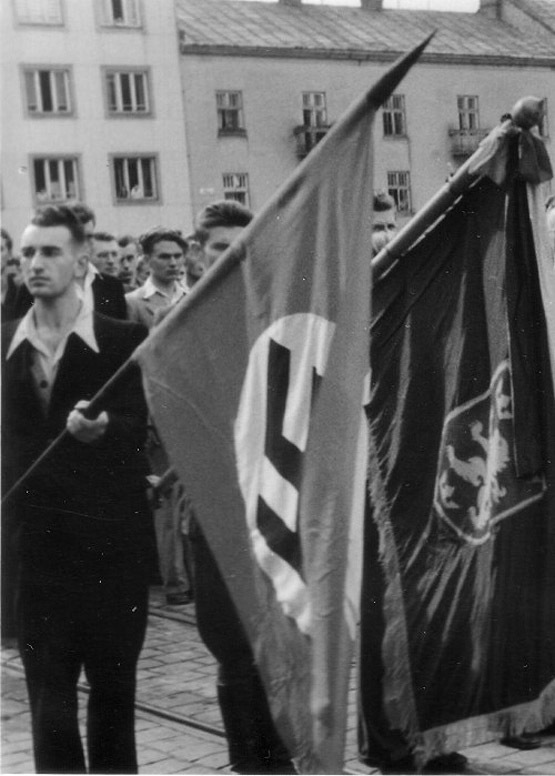 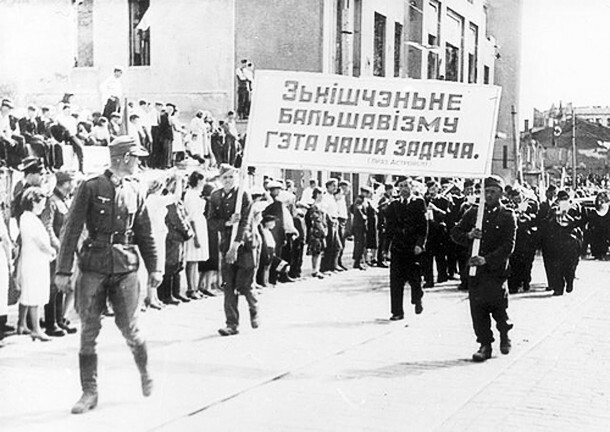 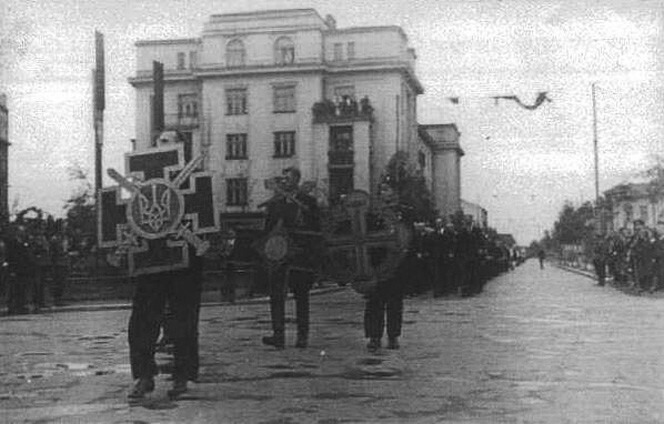 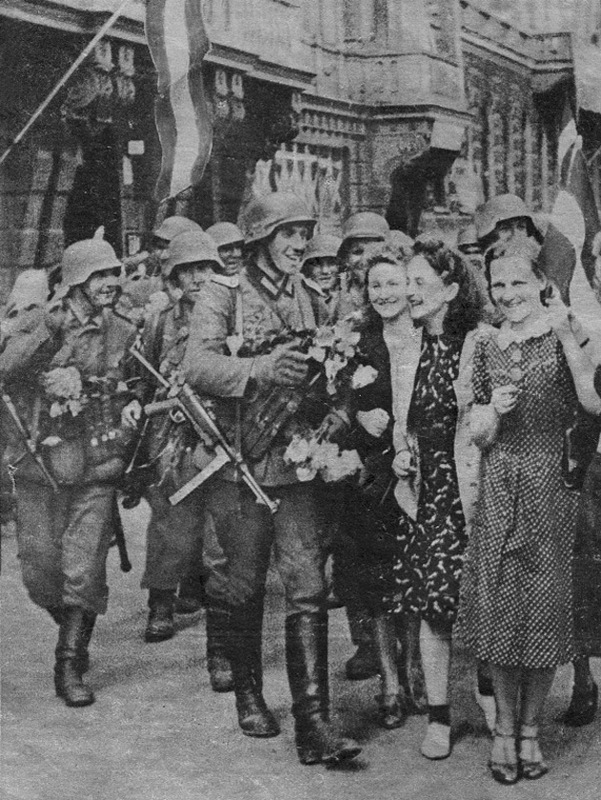 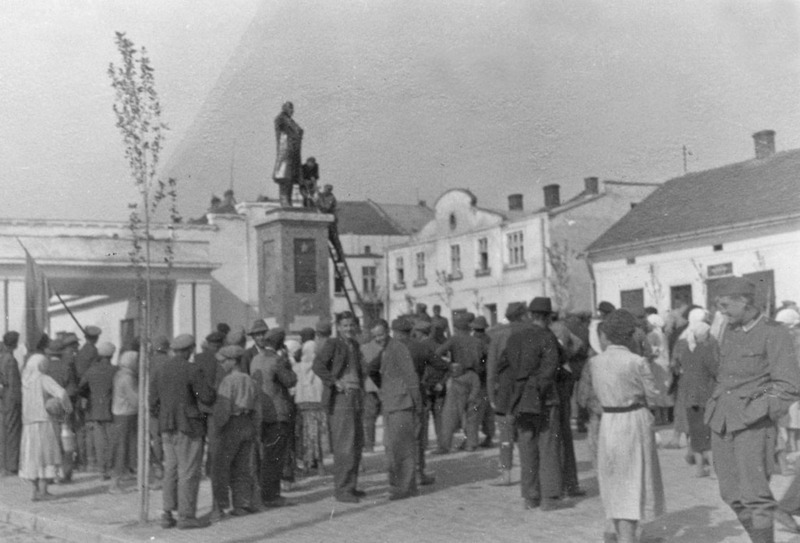 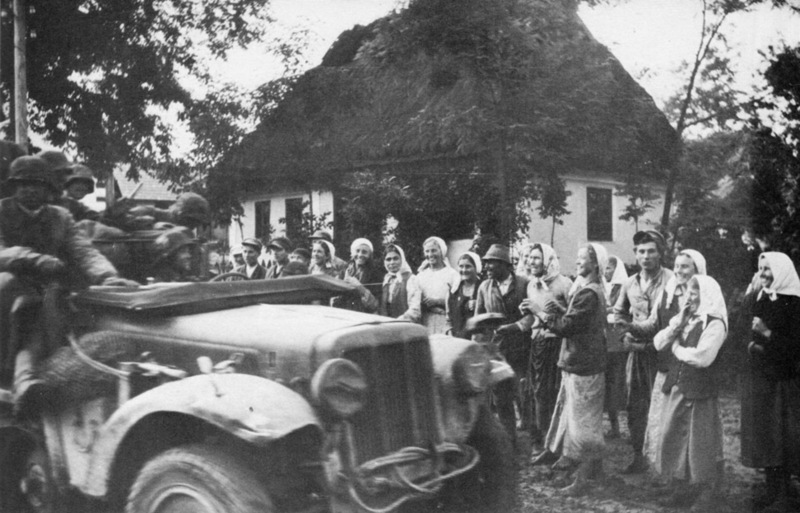 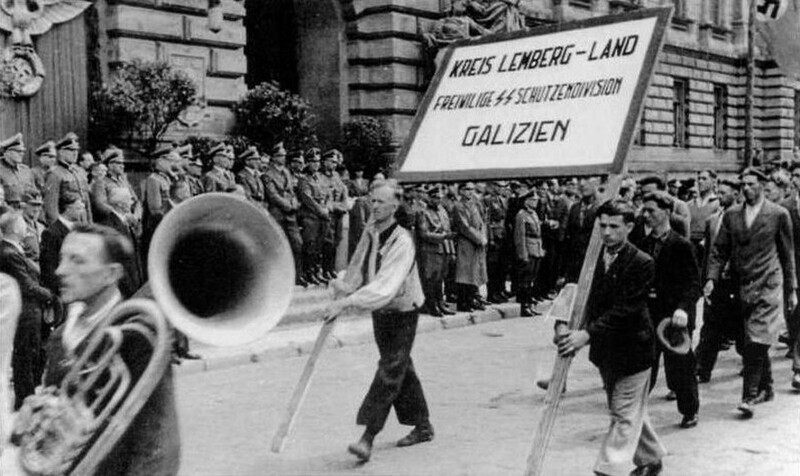 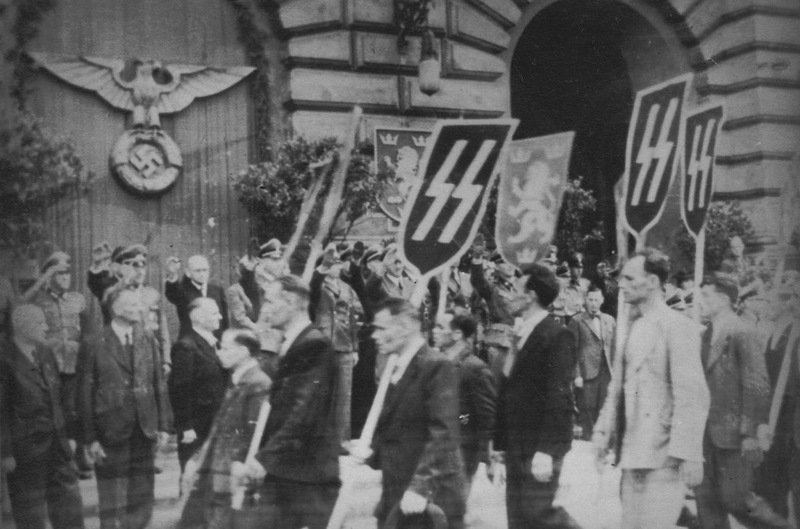 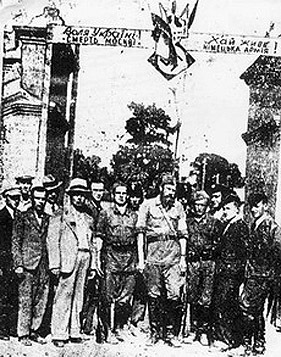 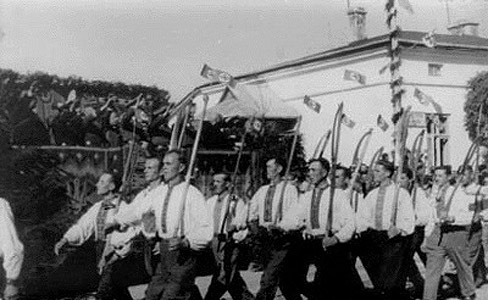 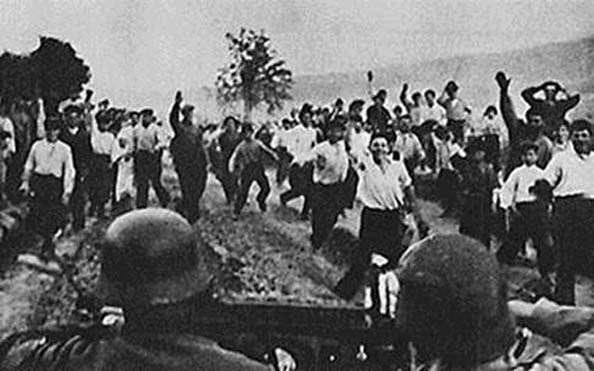 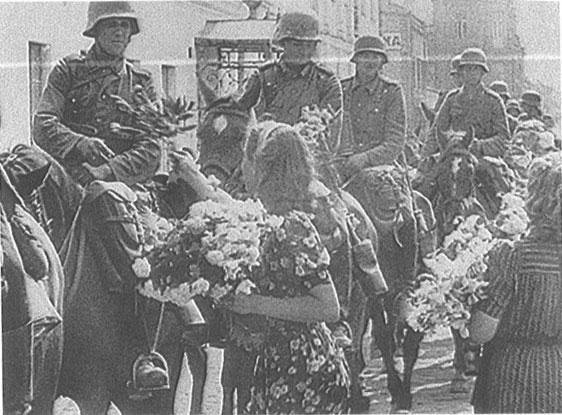 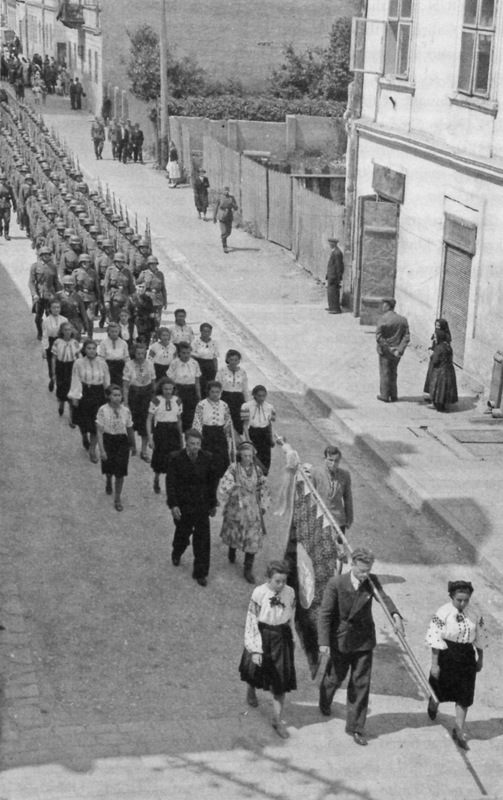 Ukrainians volunteers are seen here marching in front of the university building in Lviv, July 18, 1943. 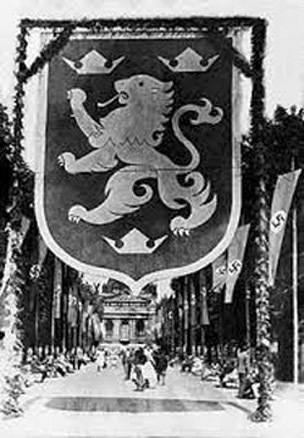 In the center, beneath the coat of arms, Governor Otto Wächter. 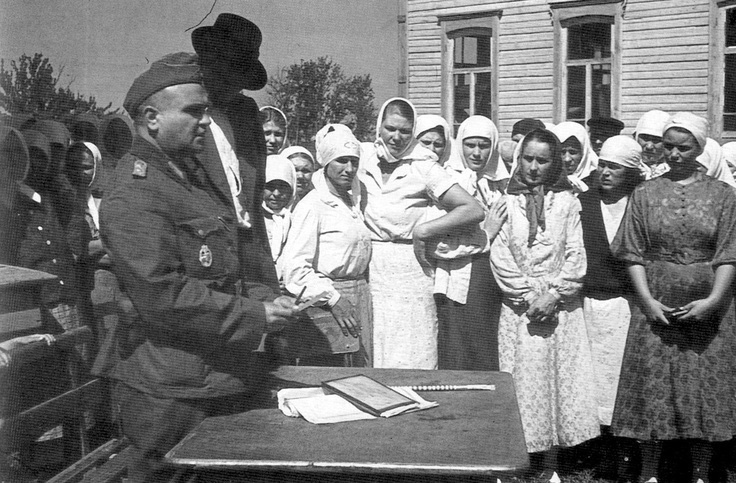 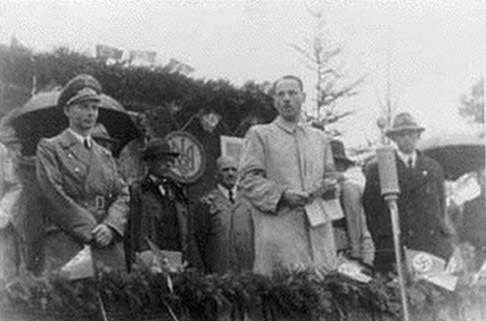 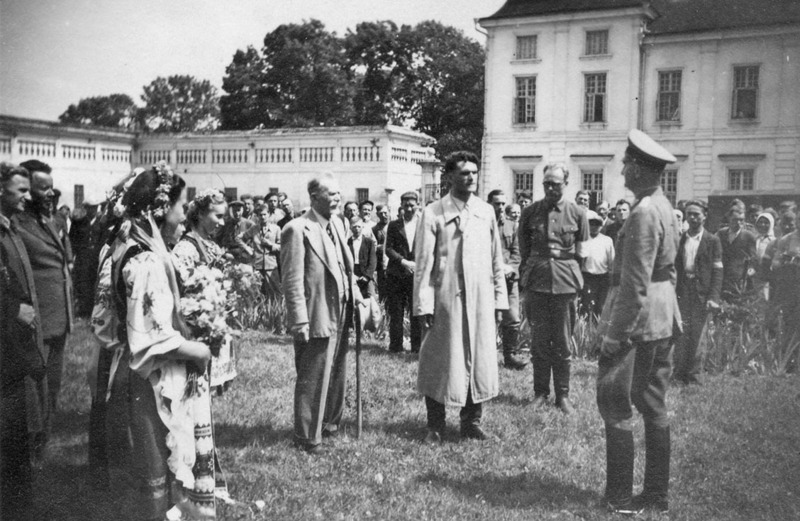 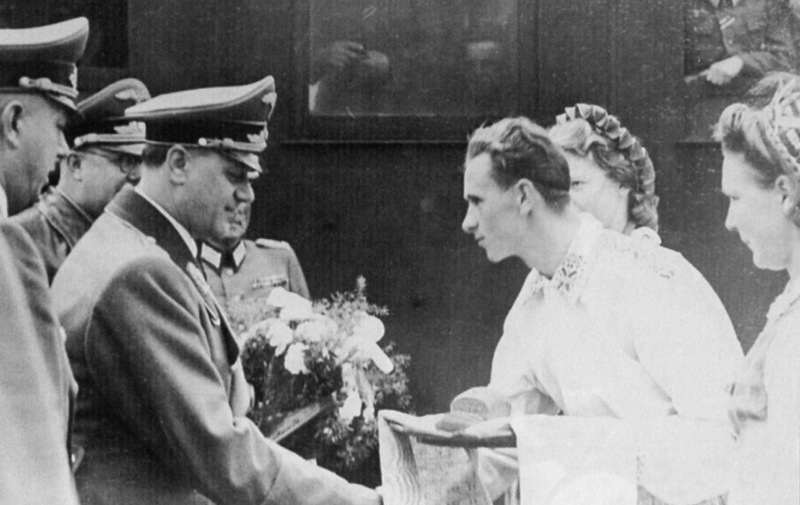 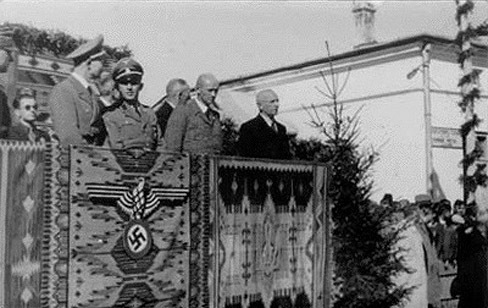 To his right, in a dark suit and glasses, stands Volodymyr Kubijovyc with members of the military board. 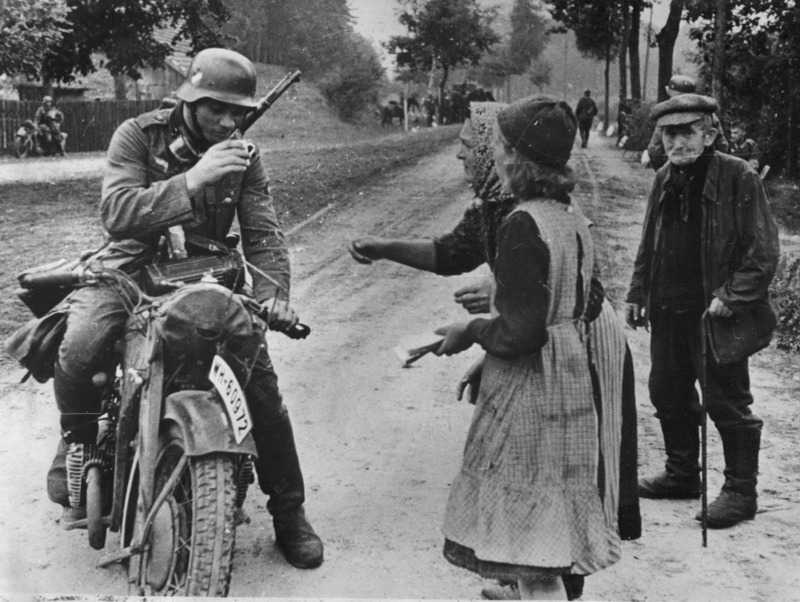 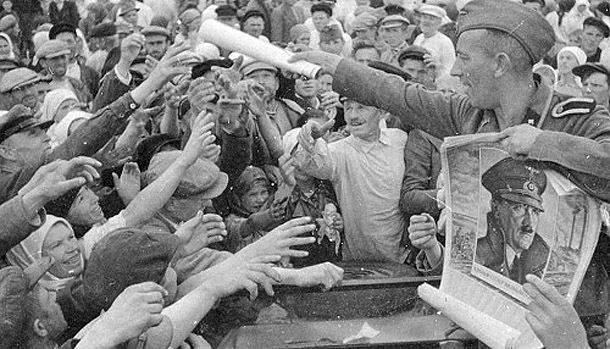 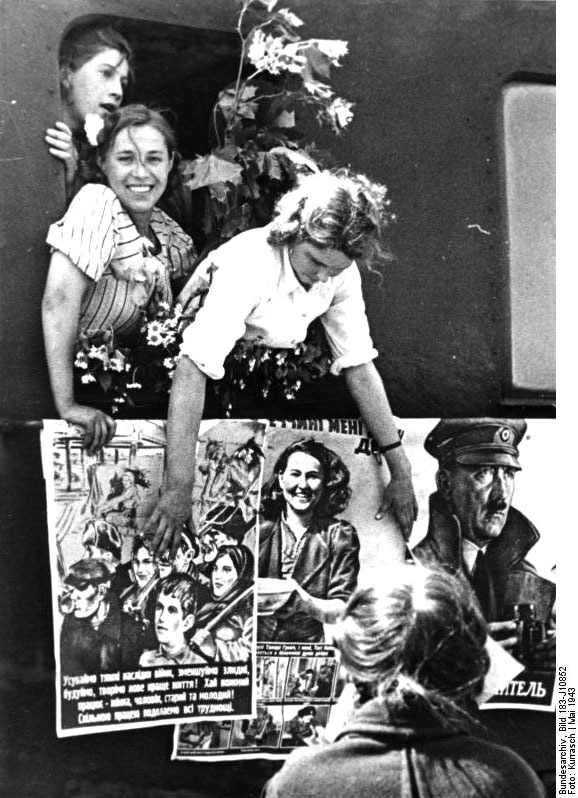 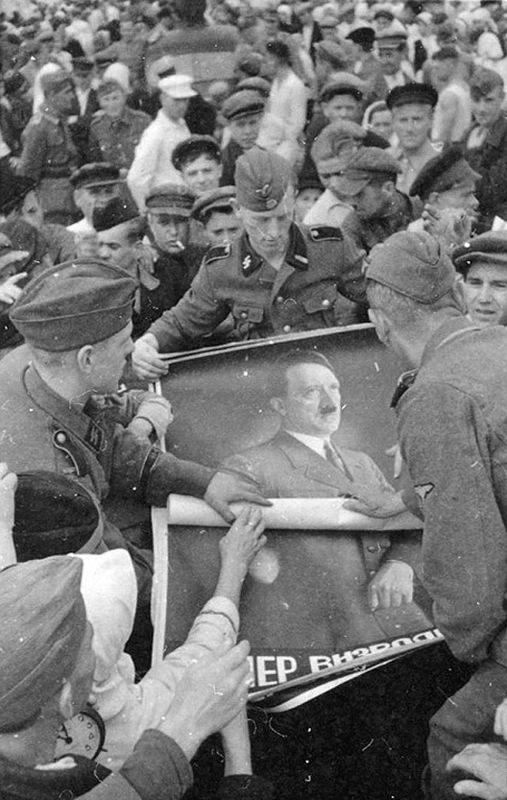 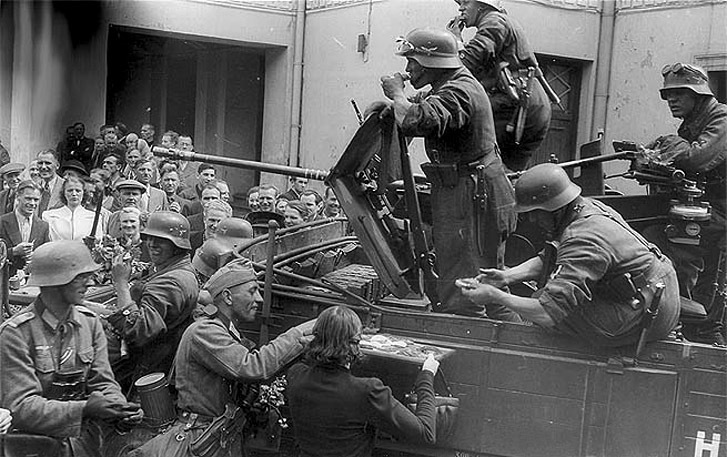 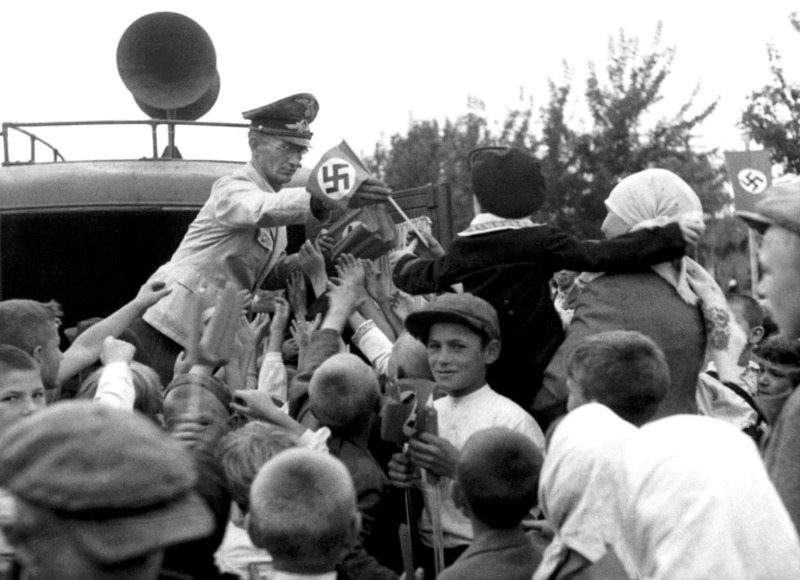 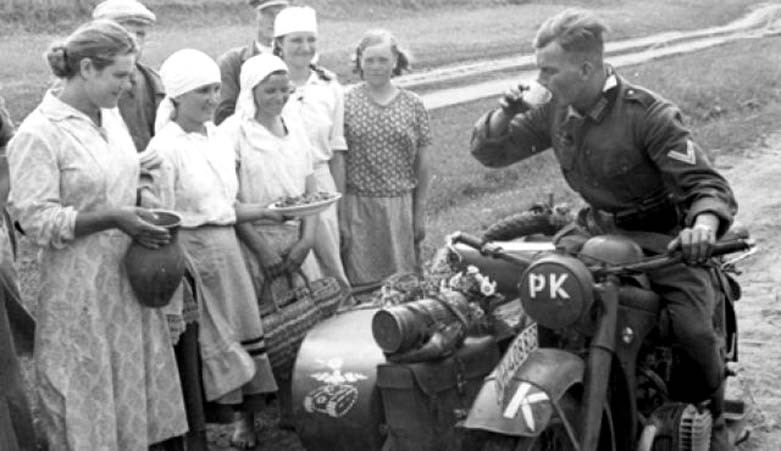 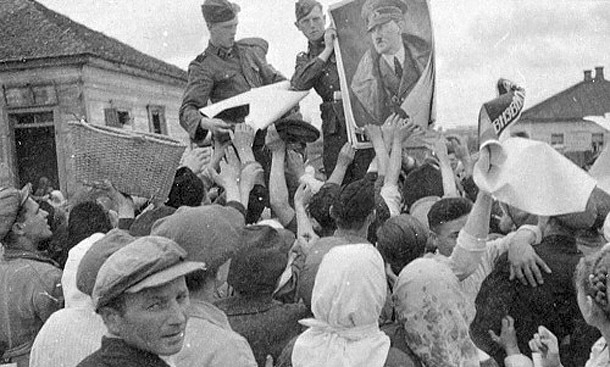 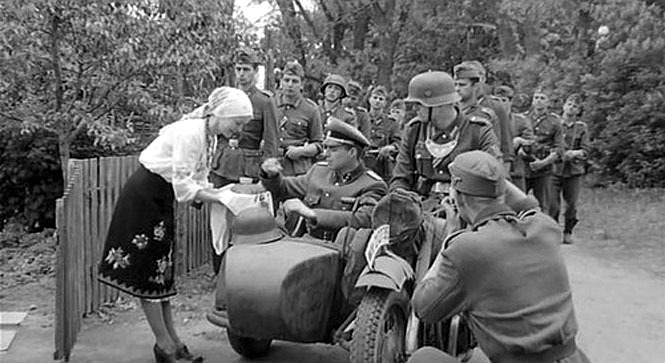 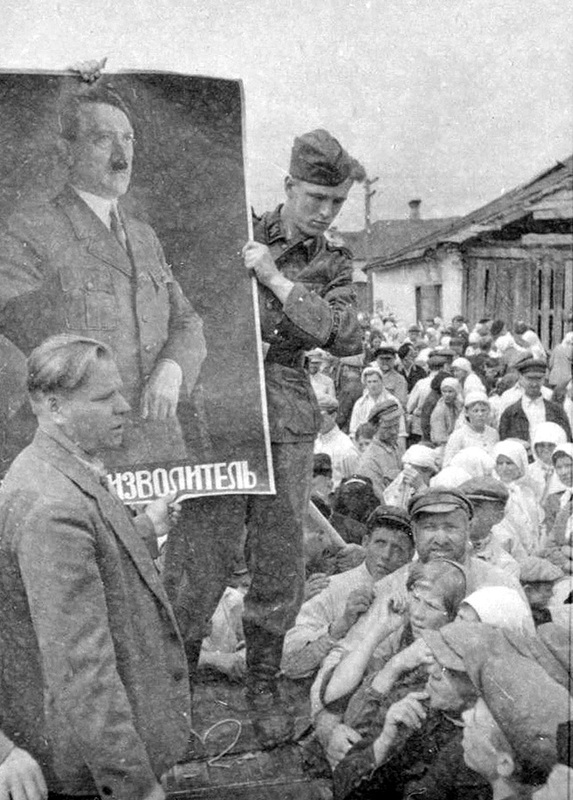 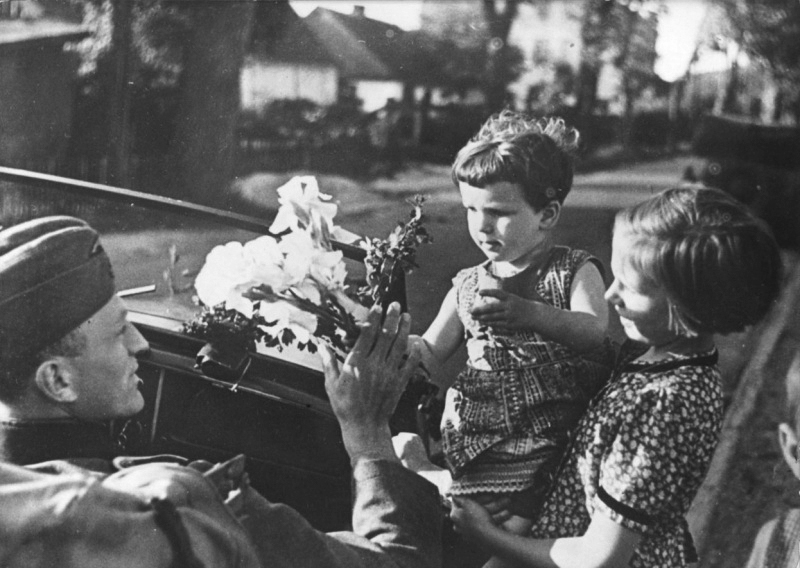 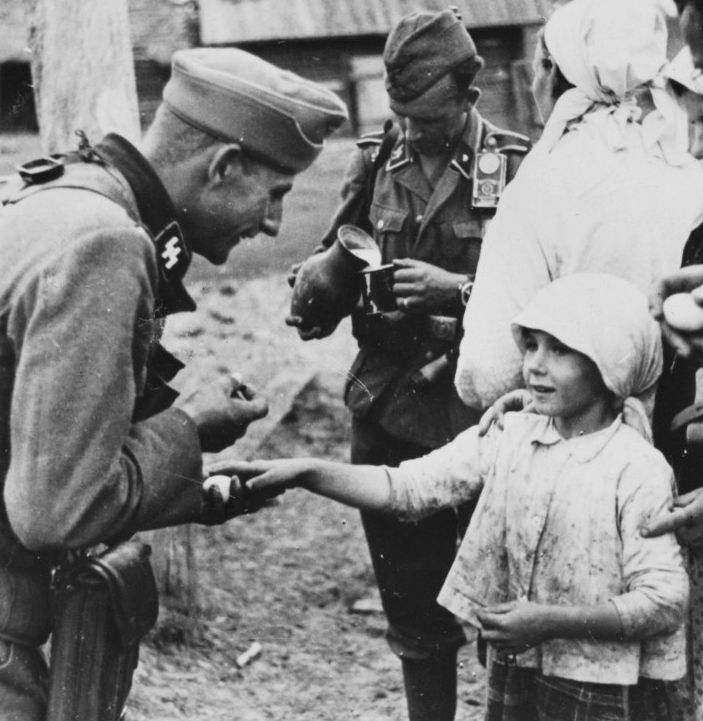 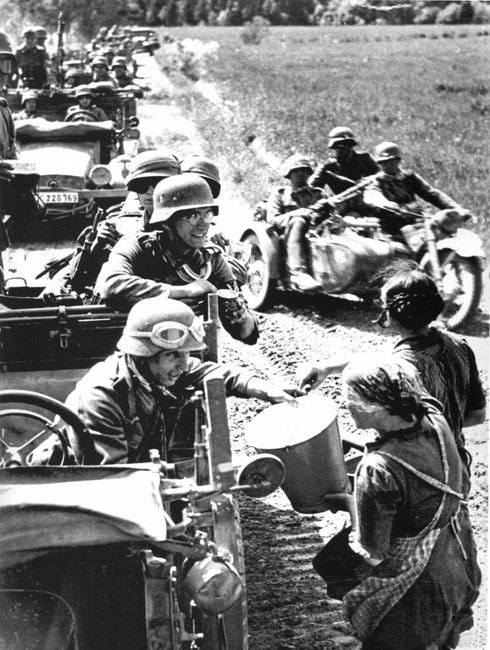 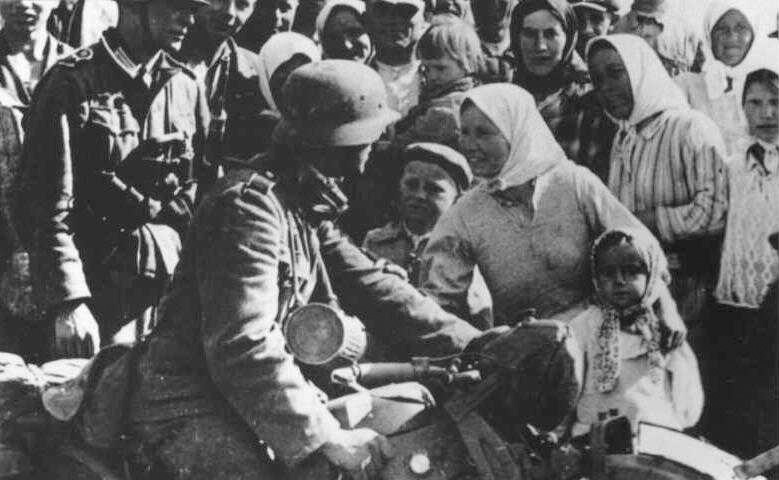 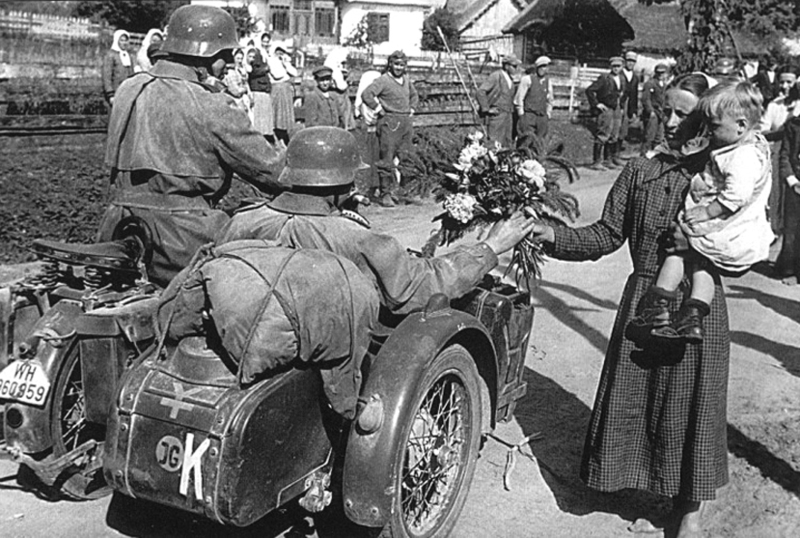 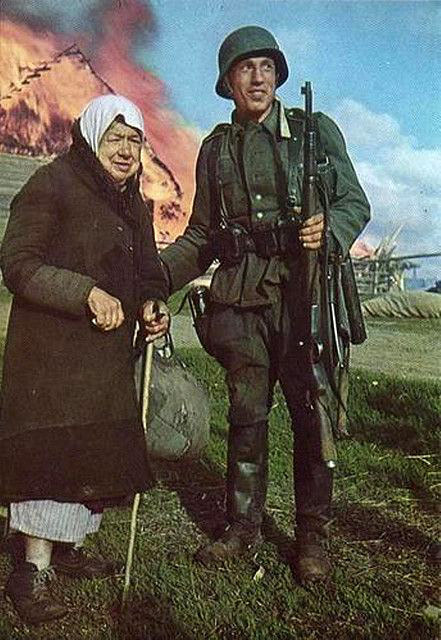 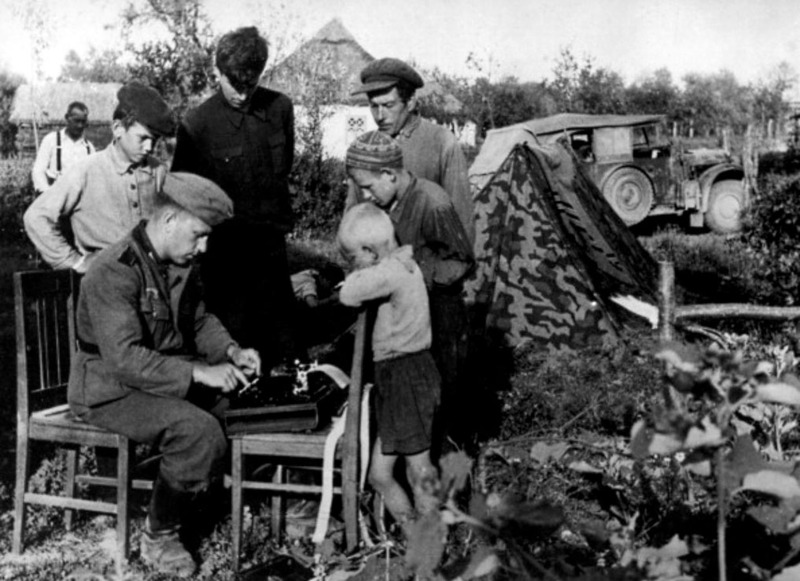 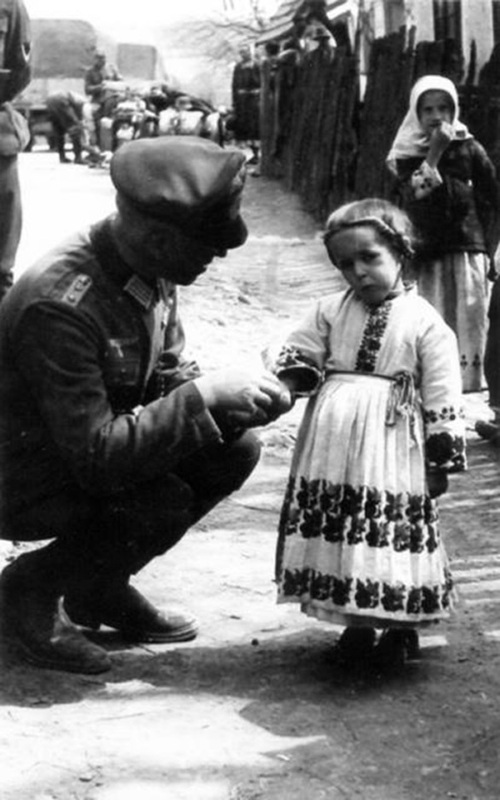 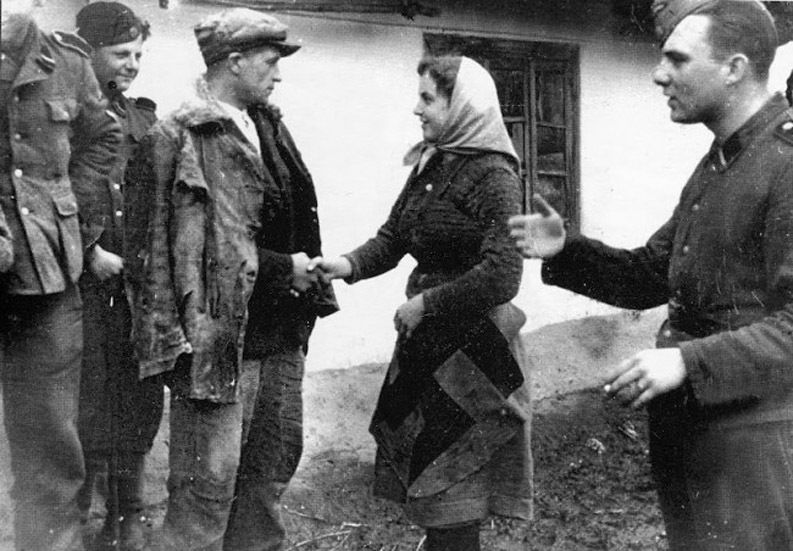 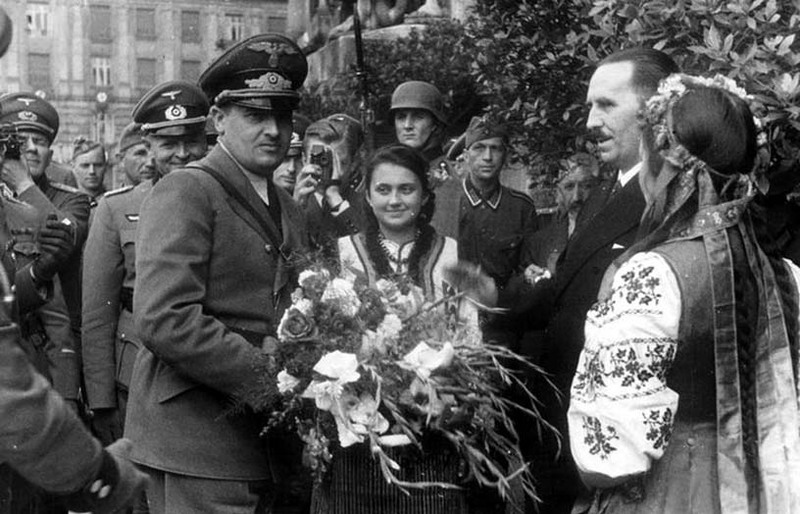 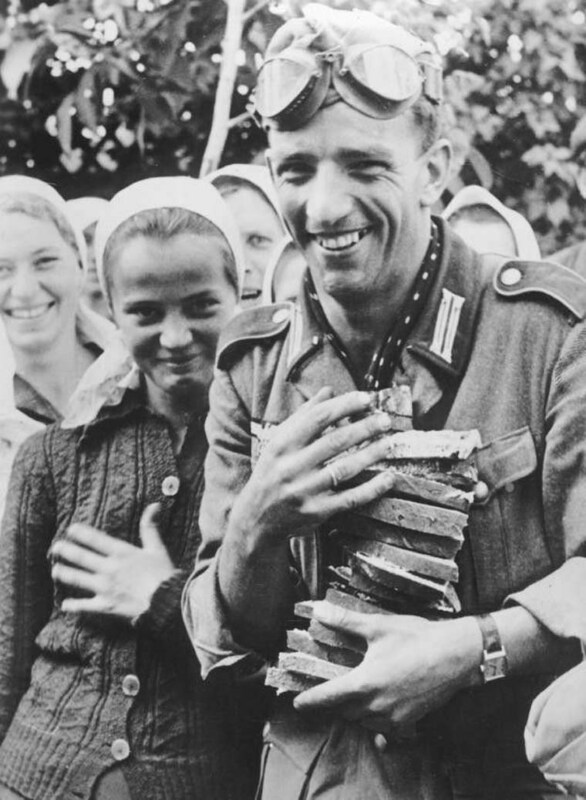 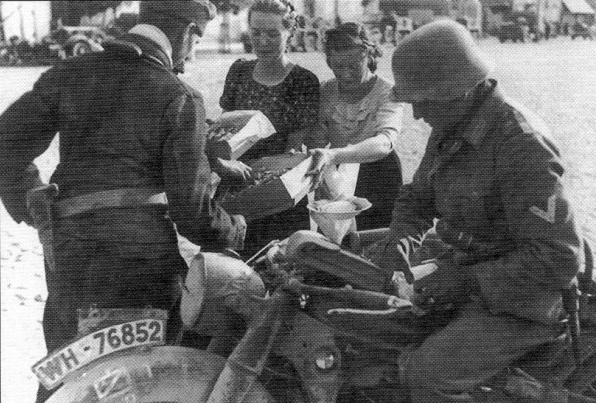 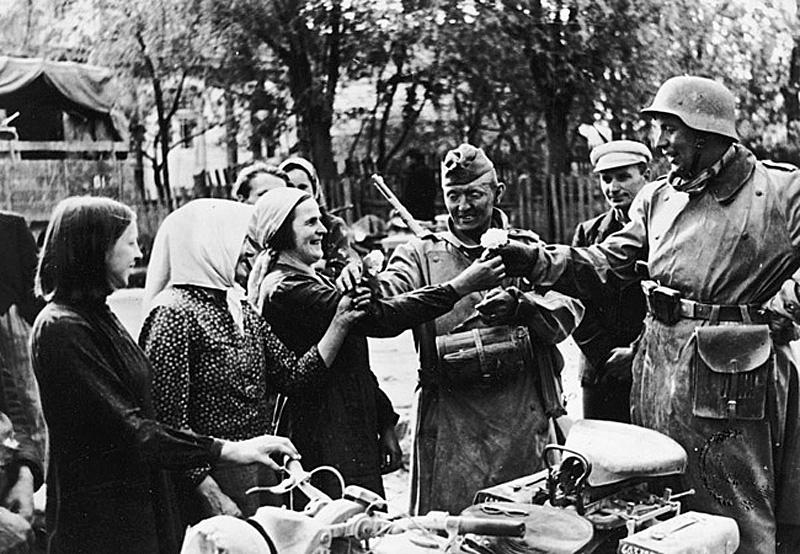 The following photos show Waffen-SS Cavalry Division Florian Geyer soldiers distributing 'Adolf Hitler the Liberator' posters. 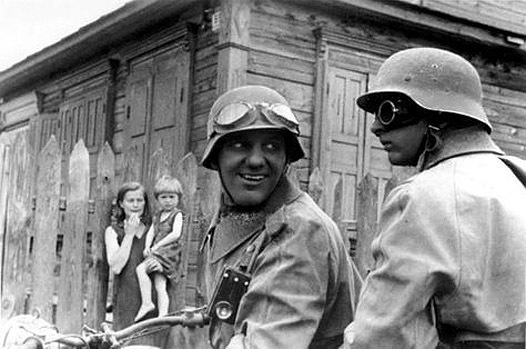 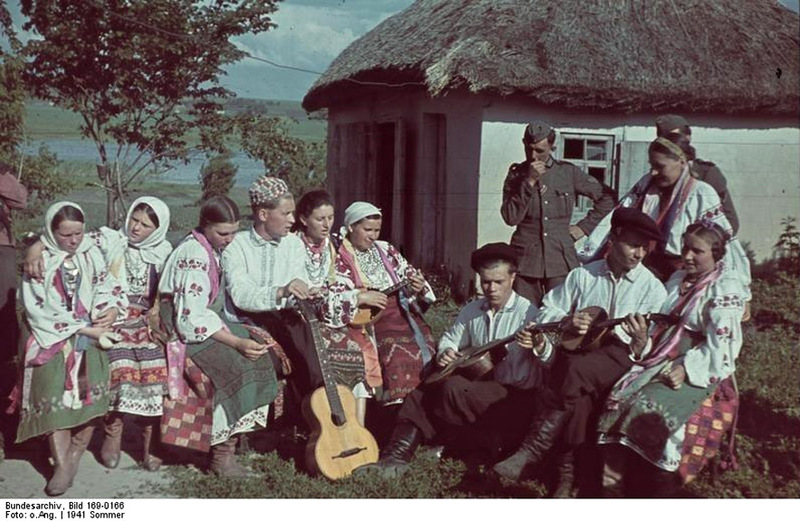 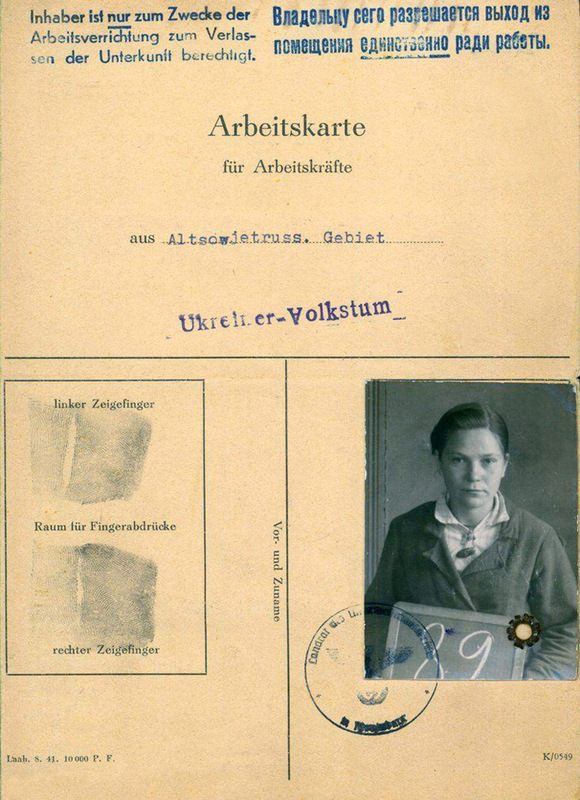 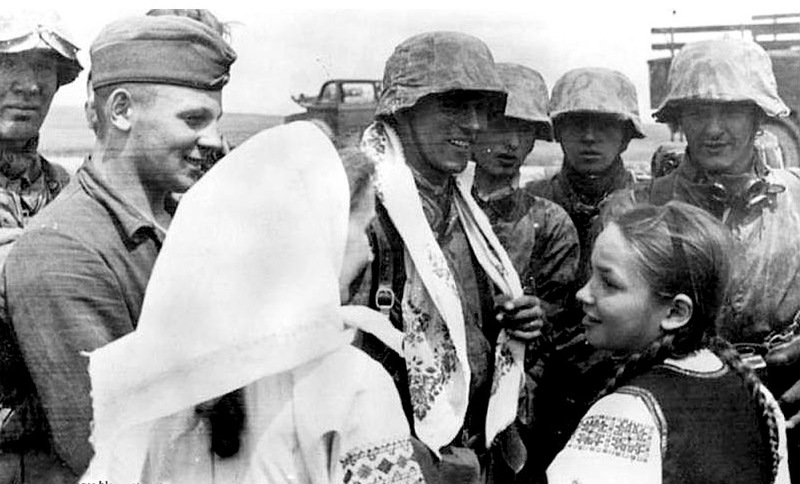 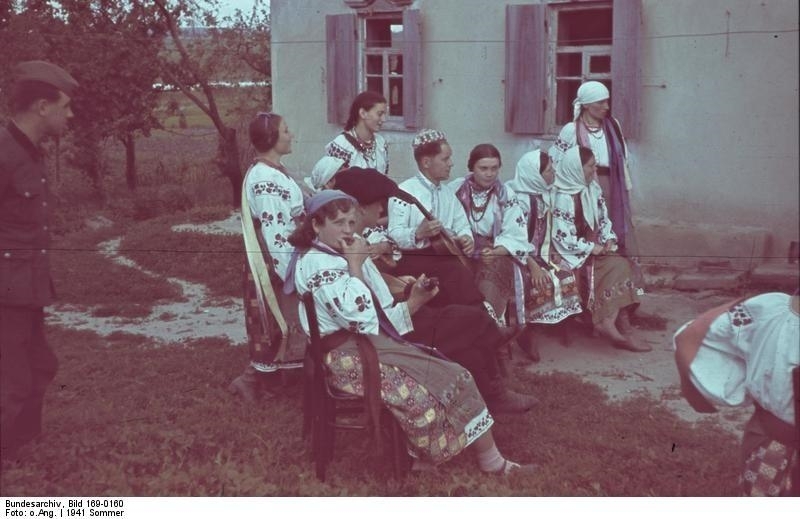 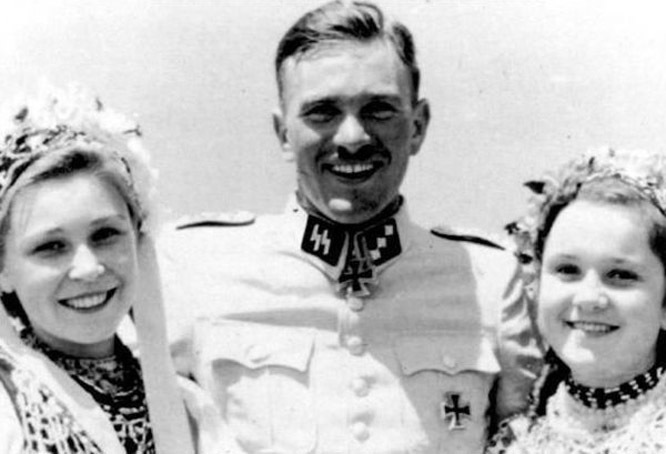 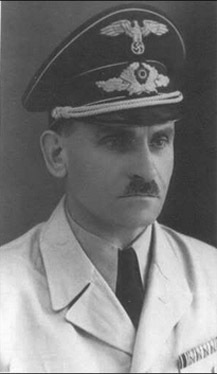 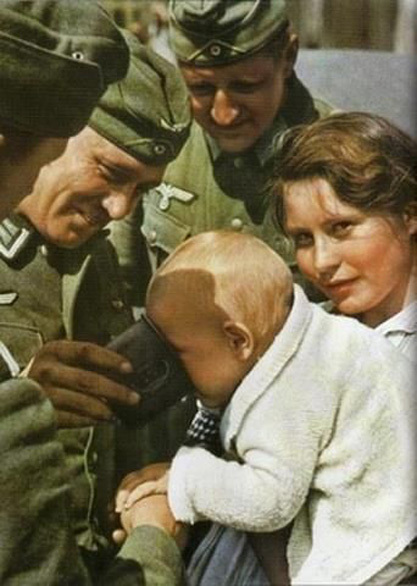 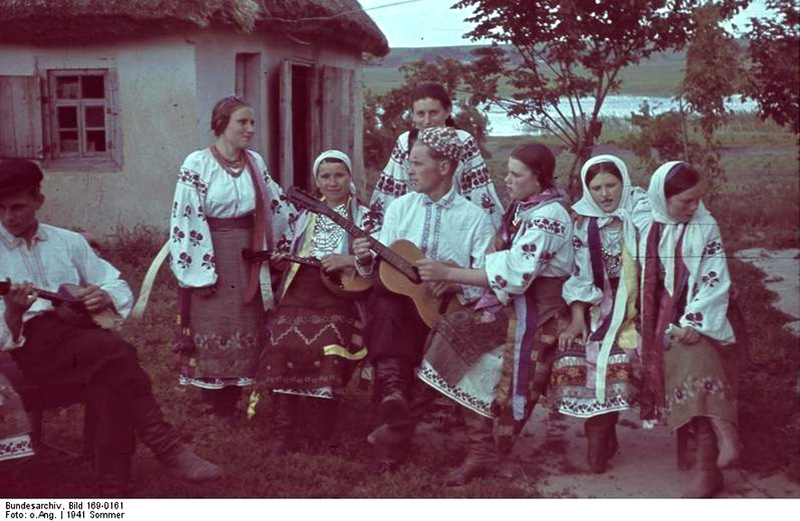 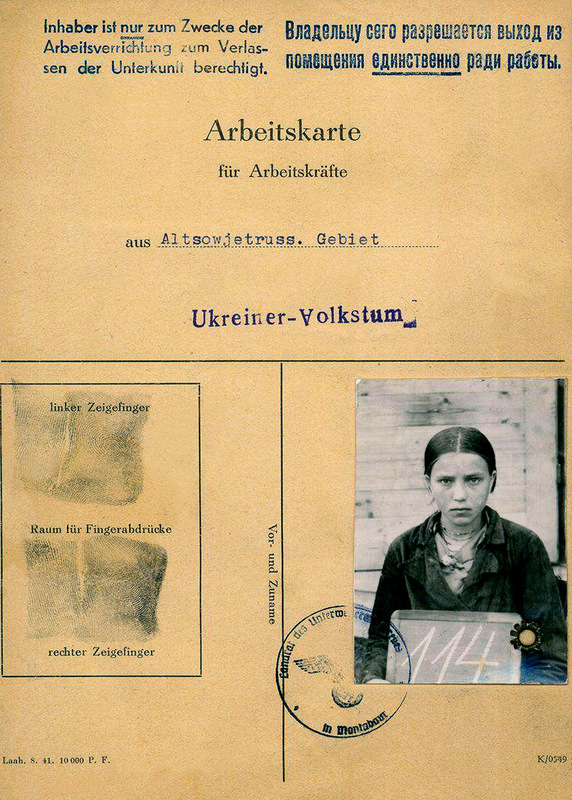 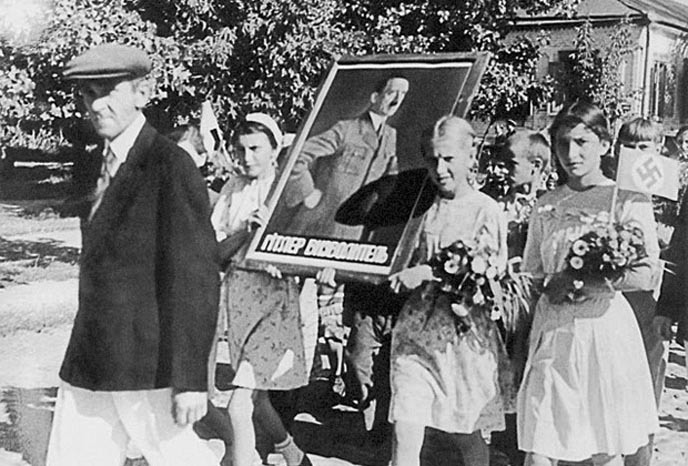 Summer, 1941. 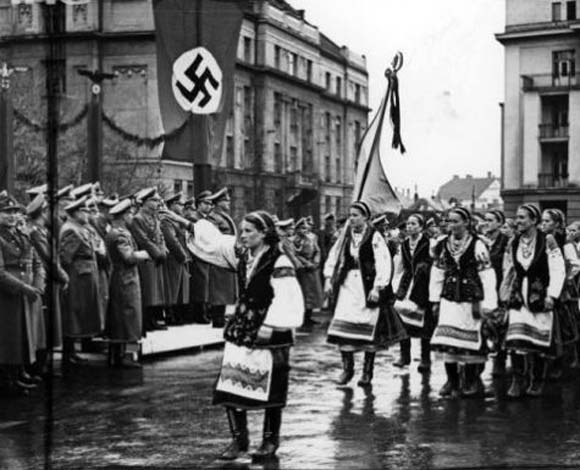 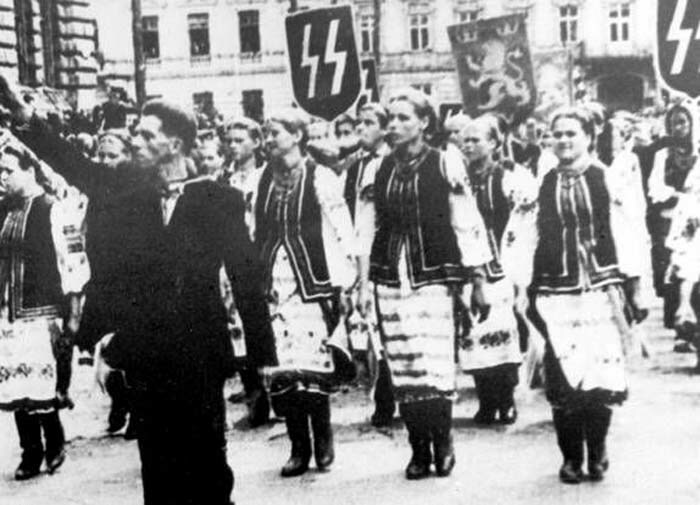 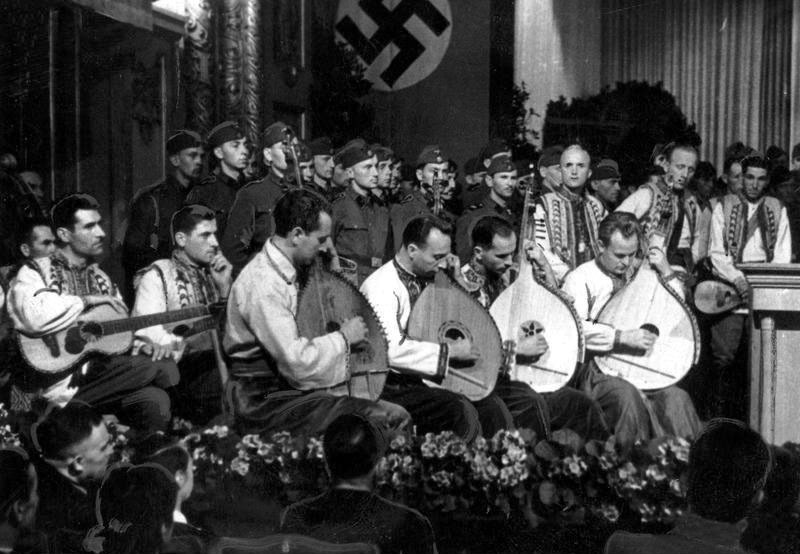 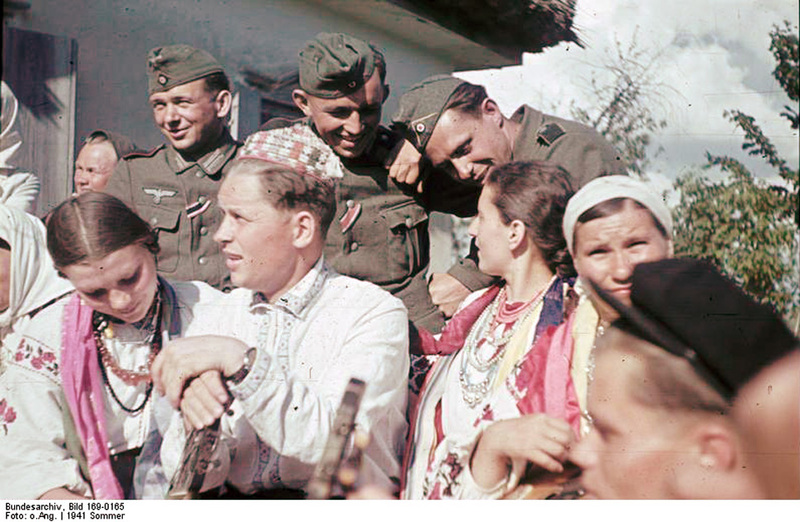 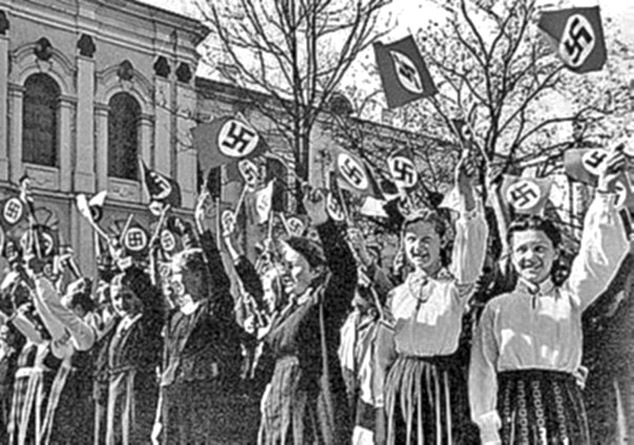 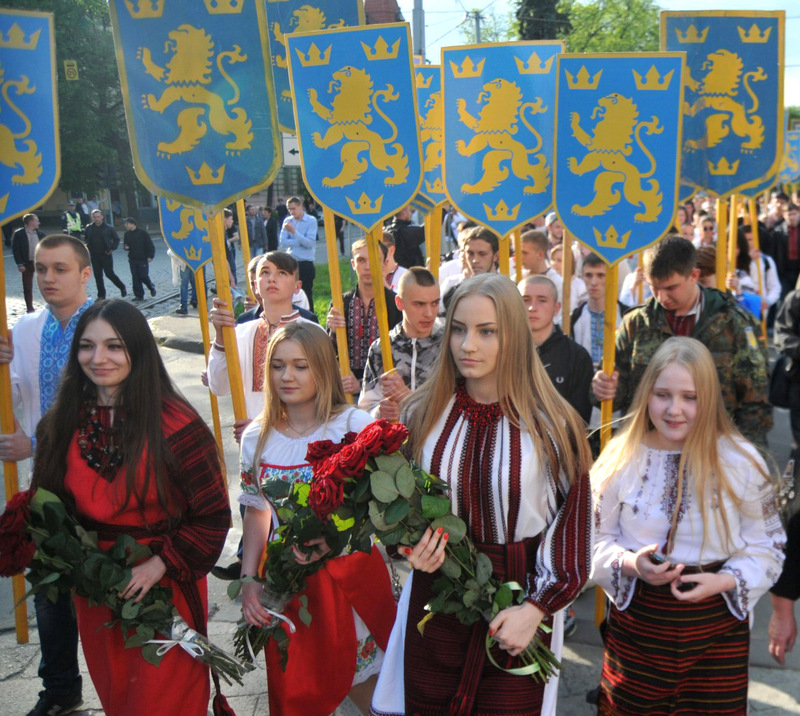 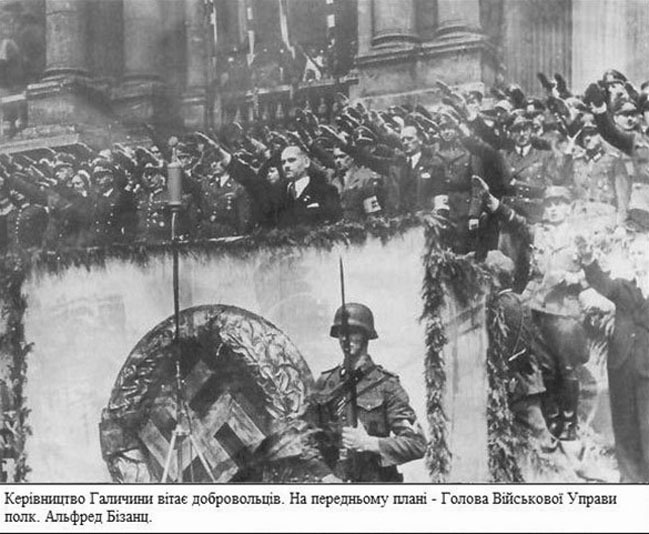 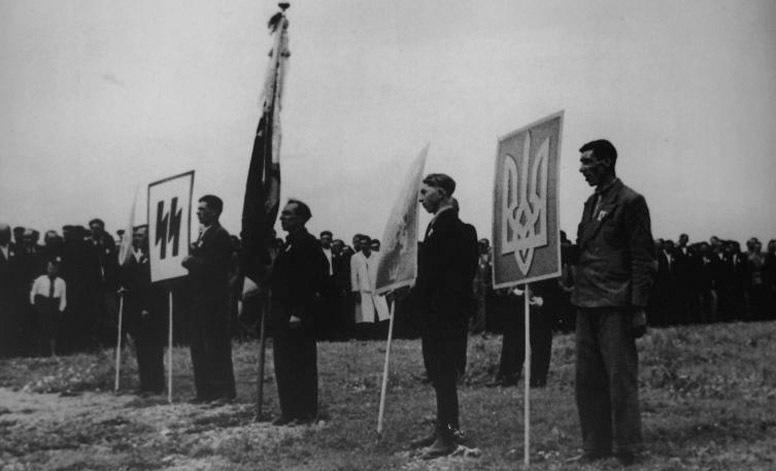 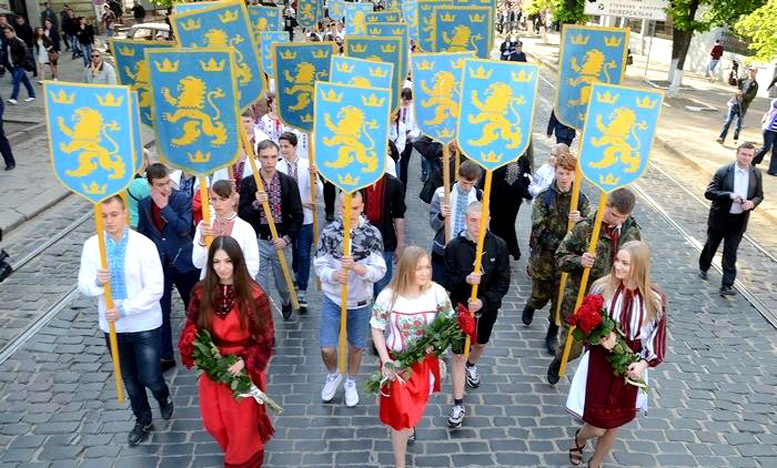 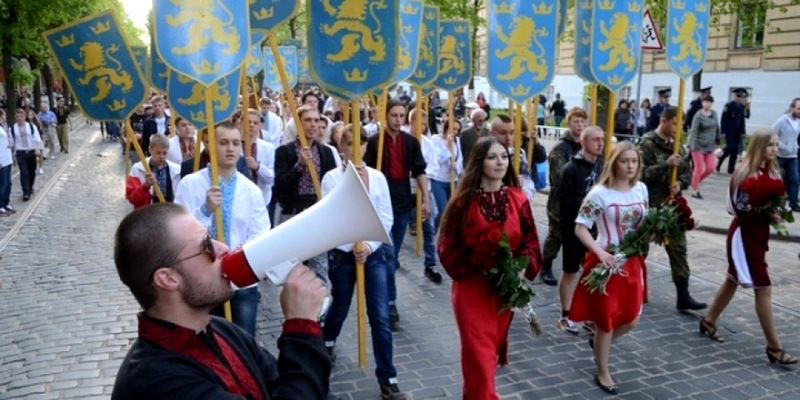 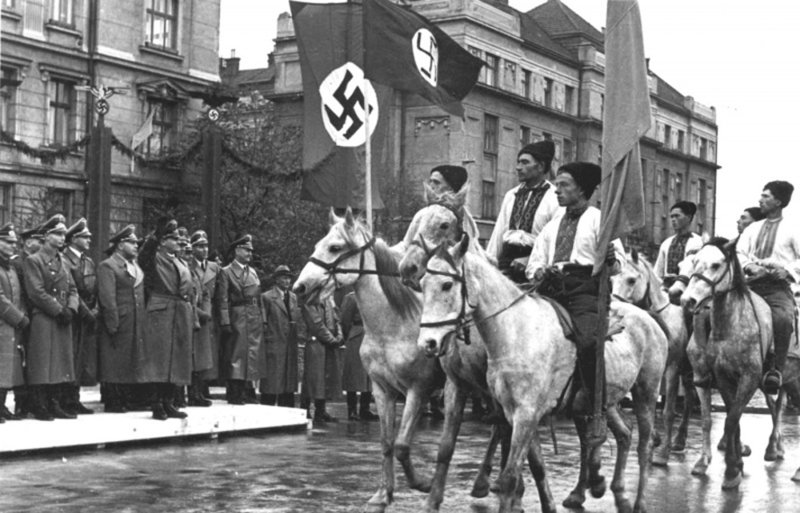 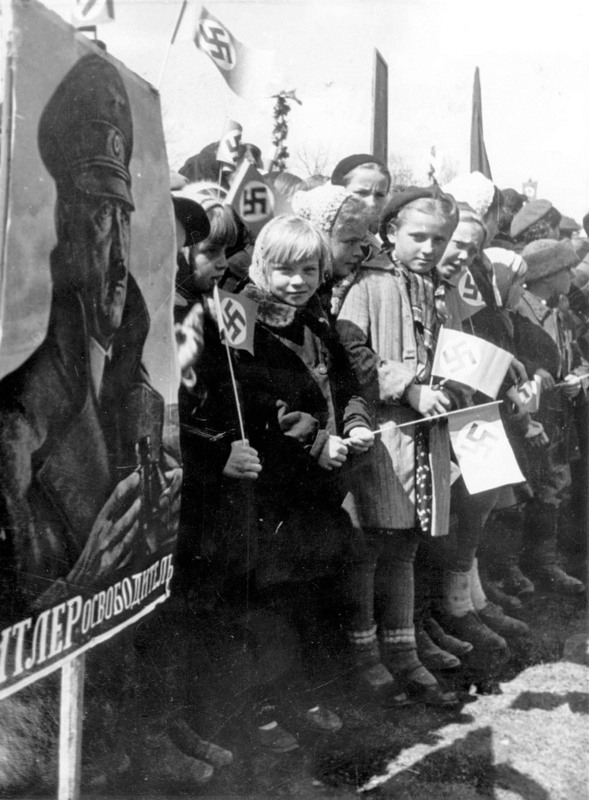 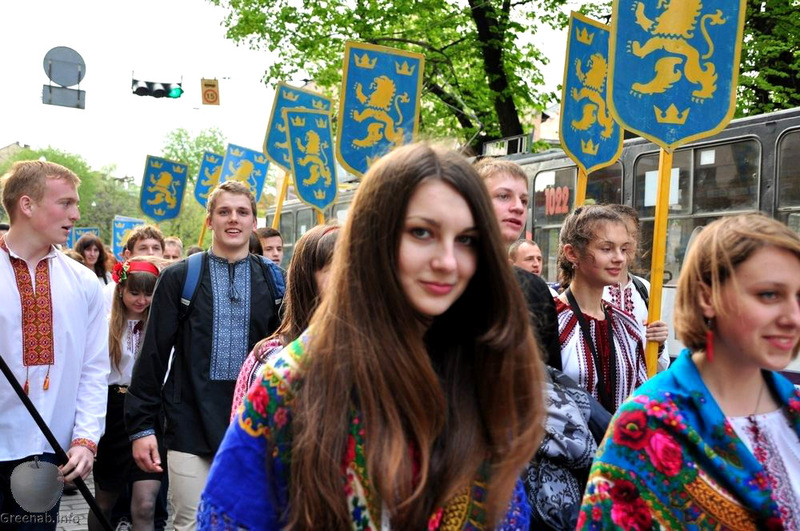 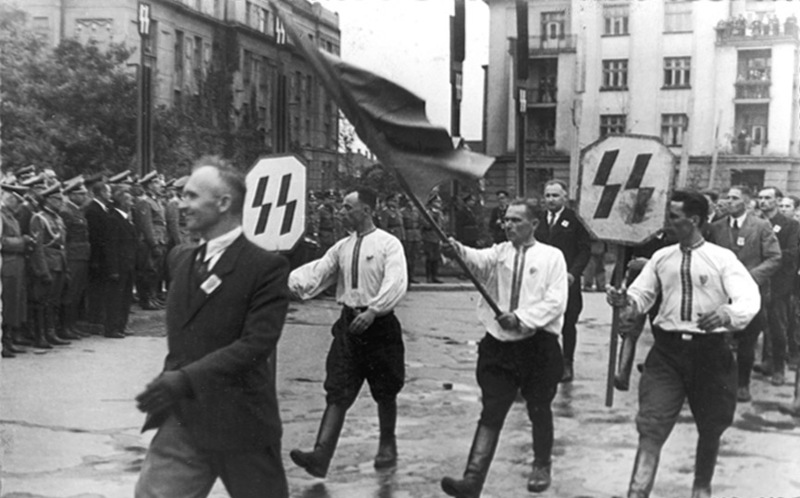 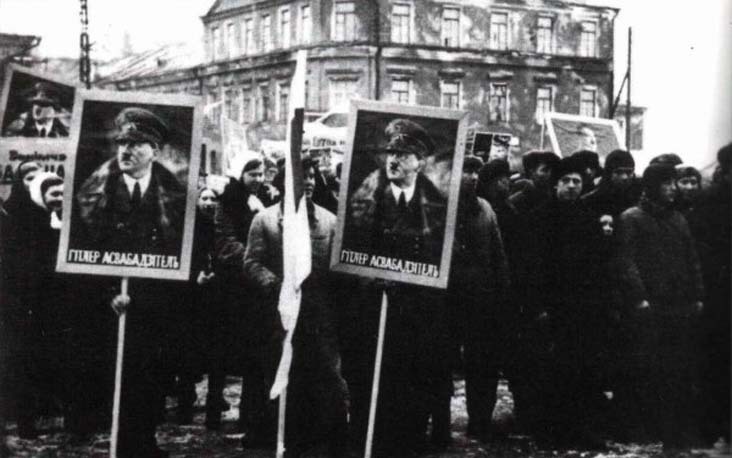 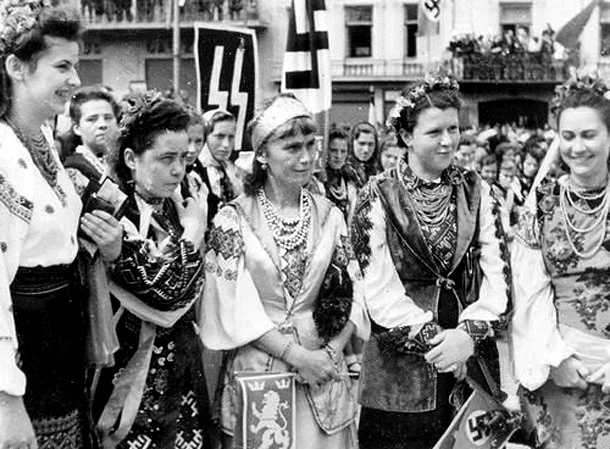 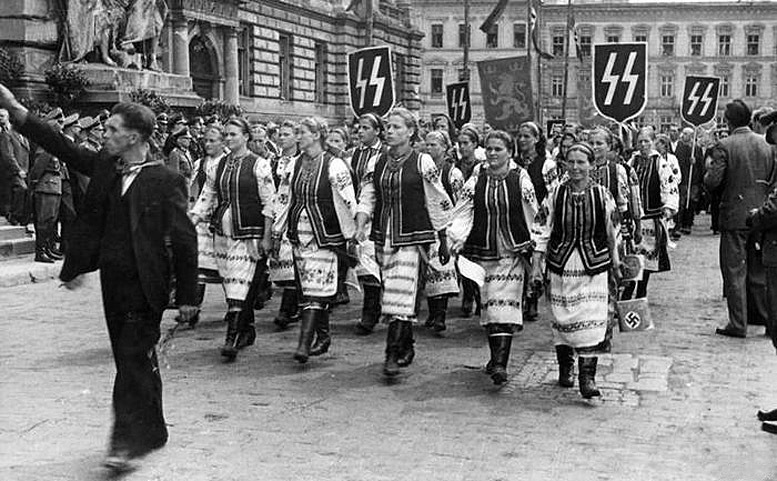 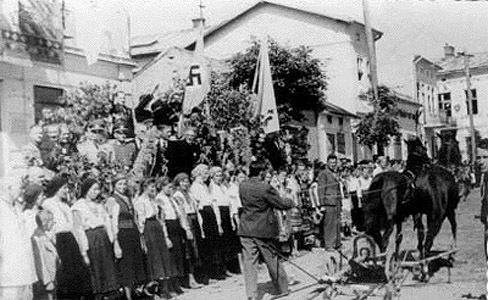 Below: More than seven decades later Ukrainian nationalists march on the same streets of their proud ancestors.